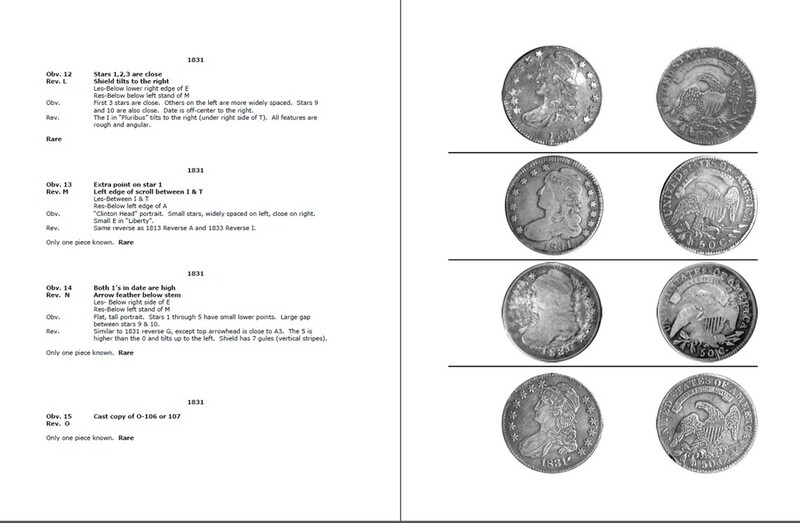 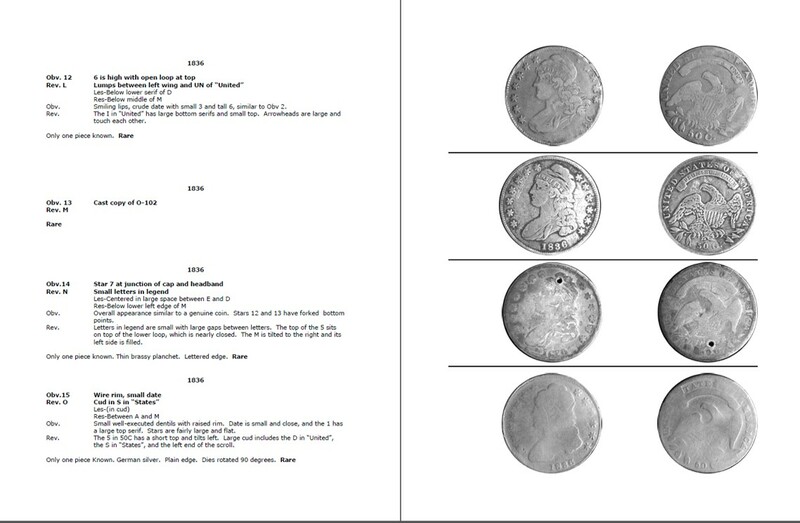 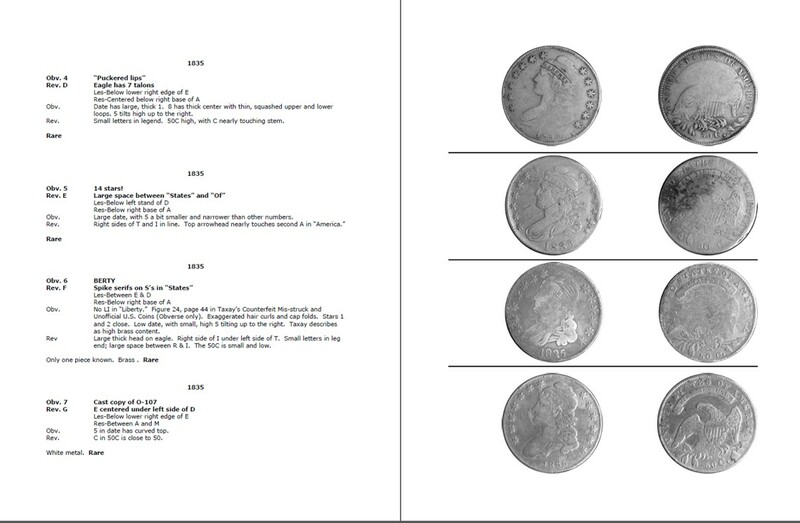 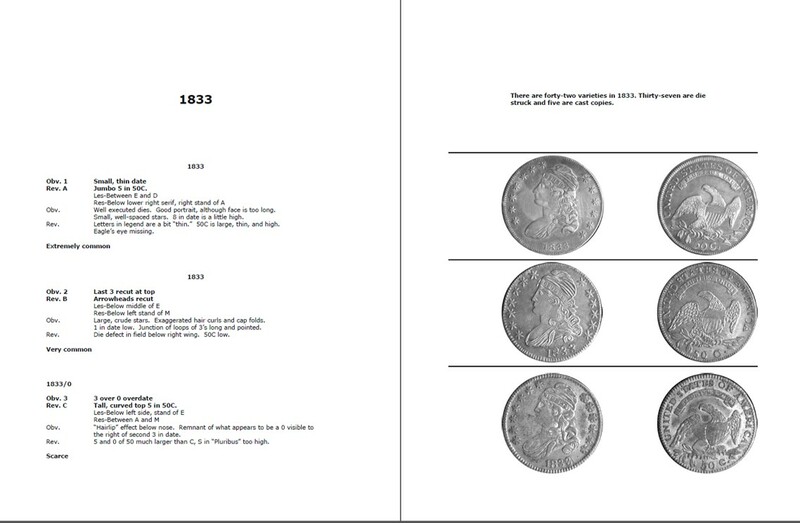 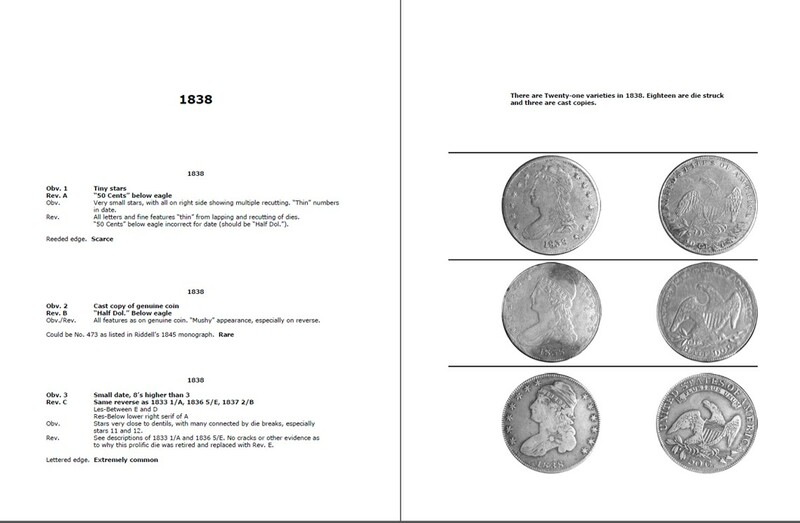 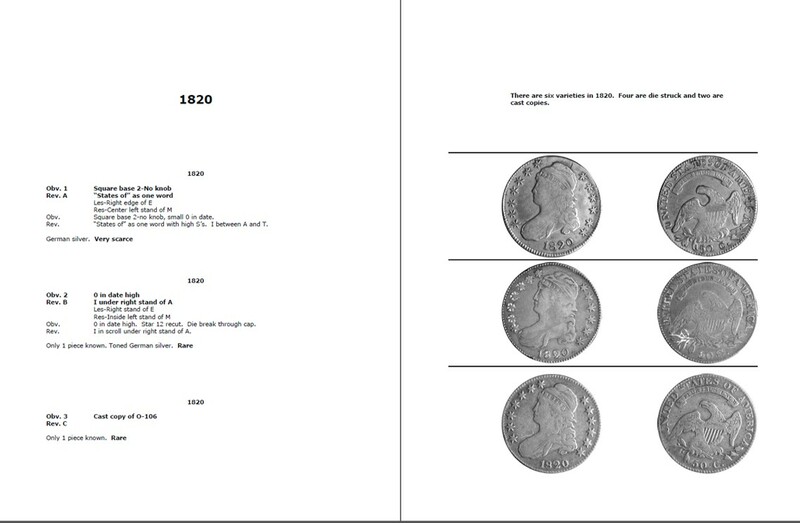 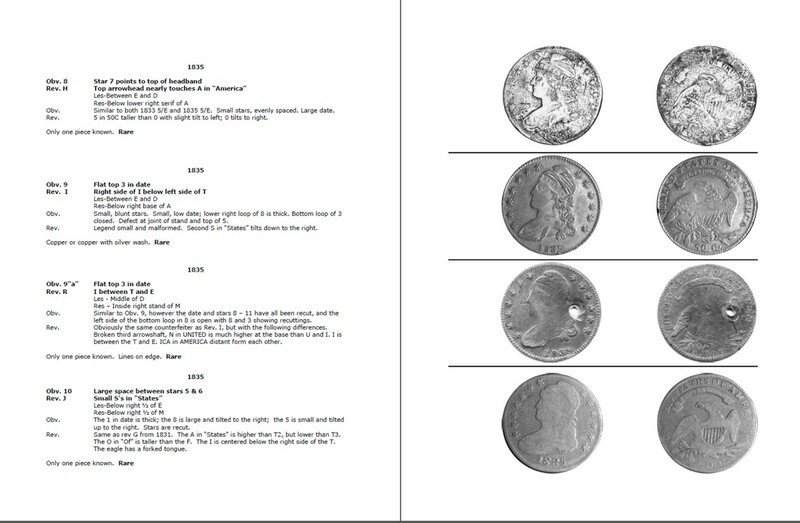 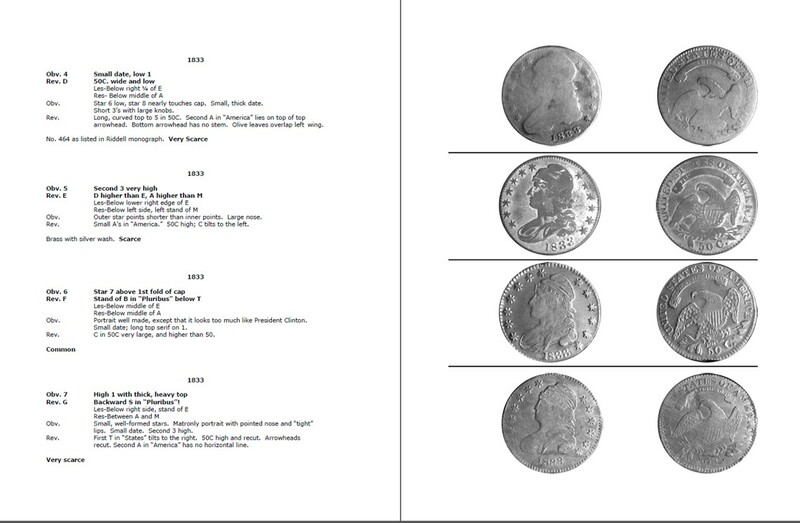 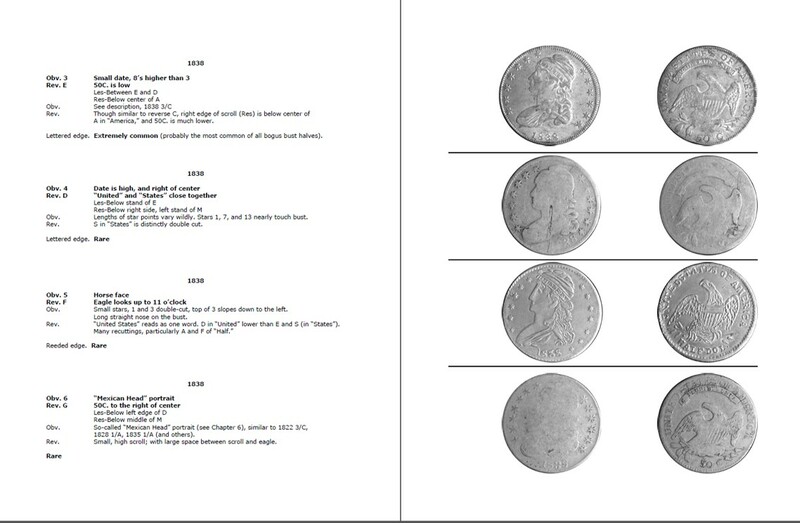 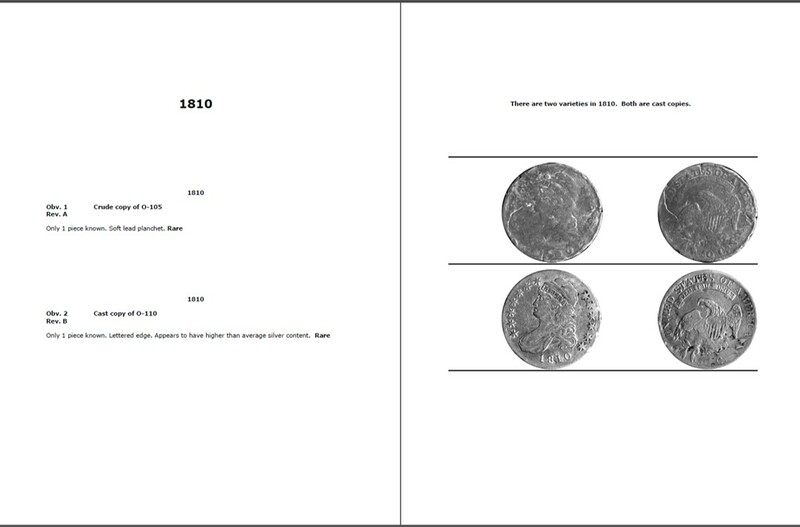 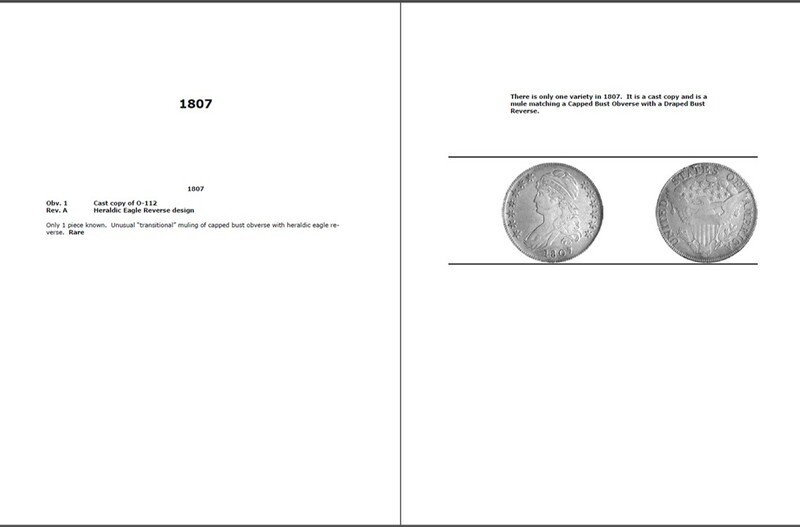 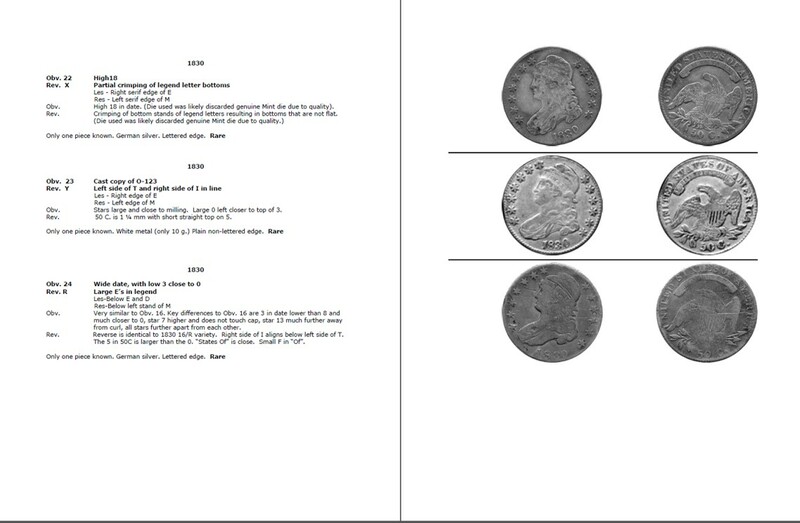 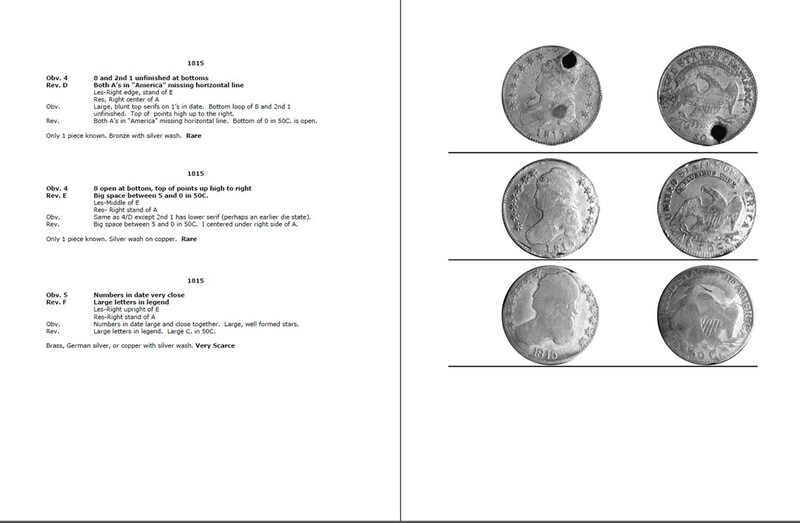 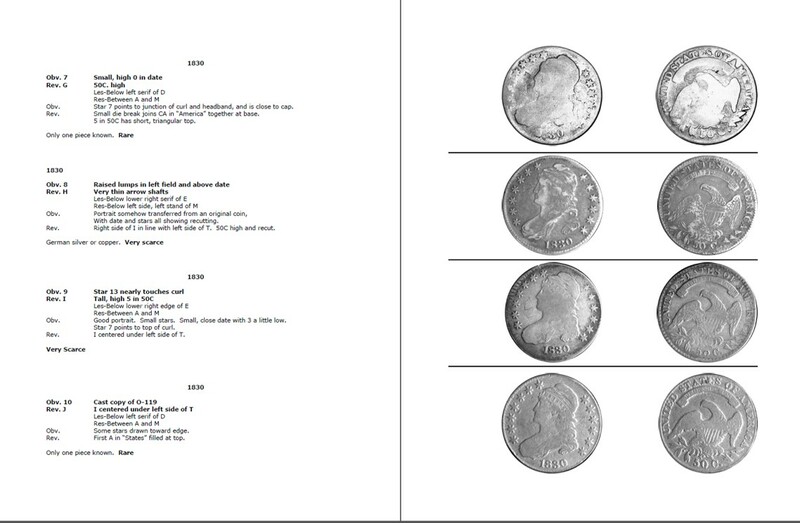 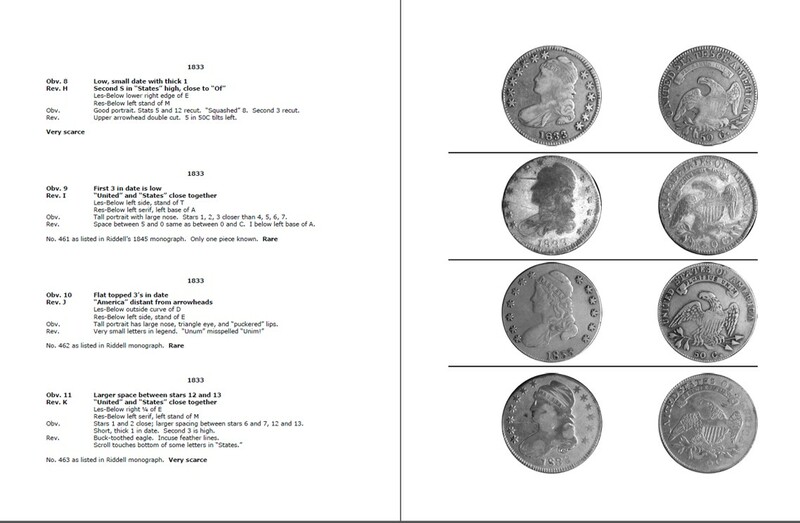 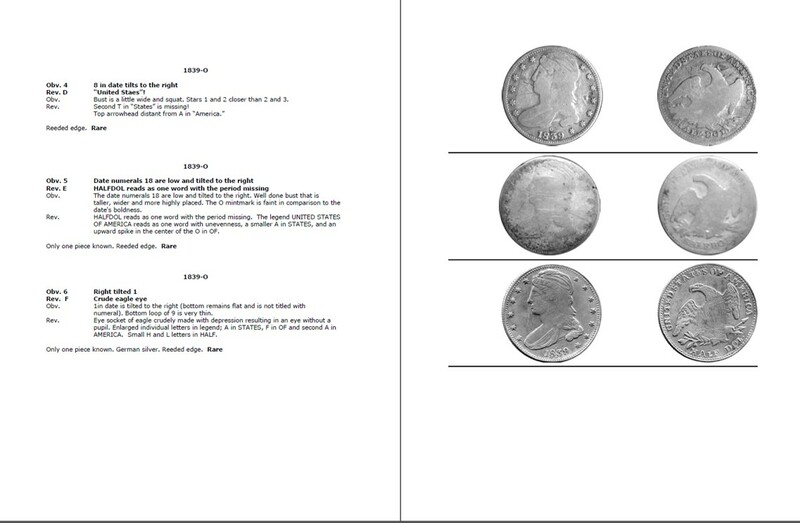 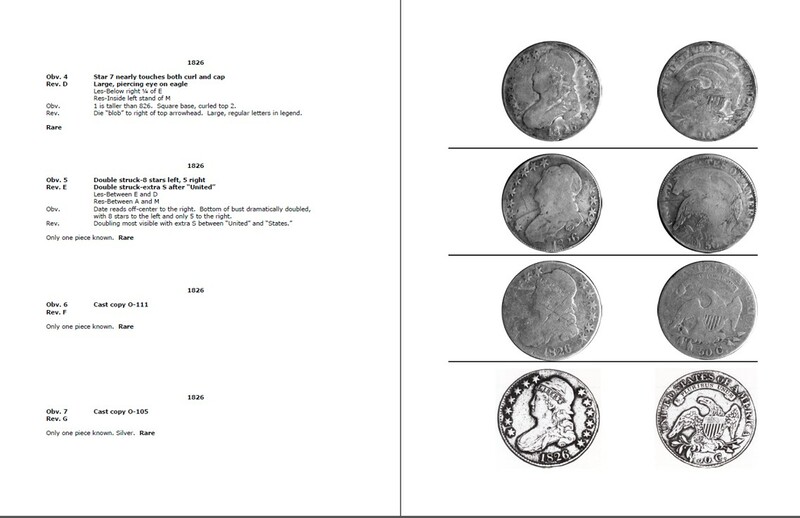 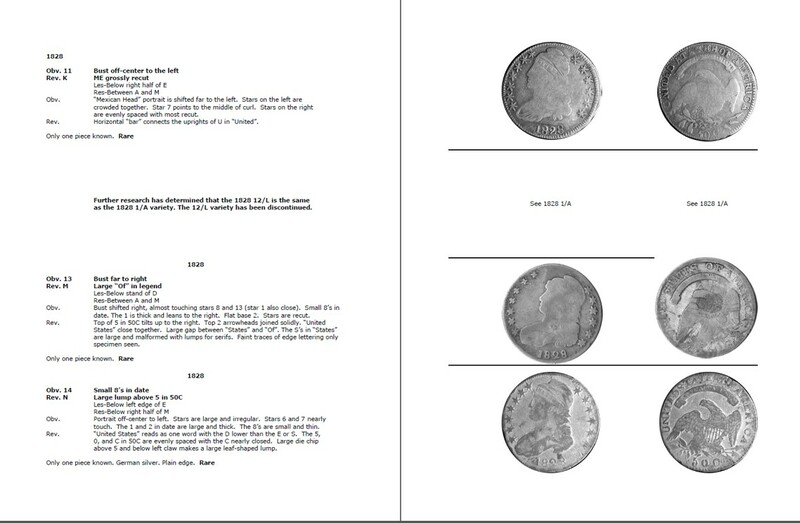 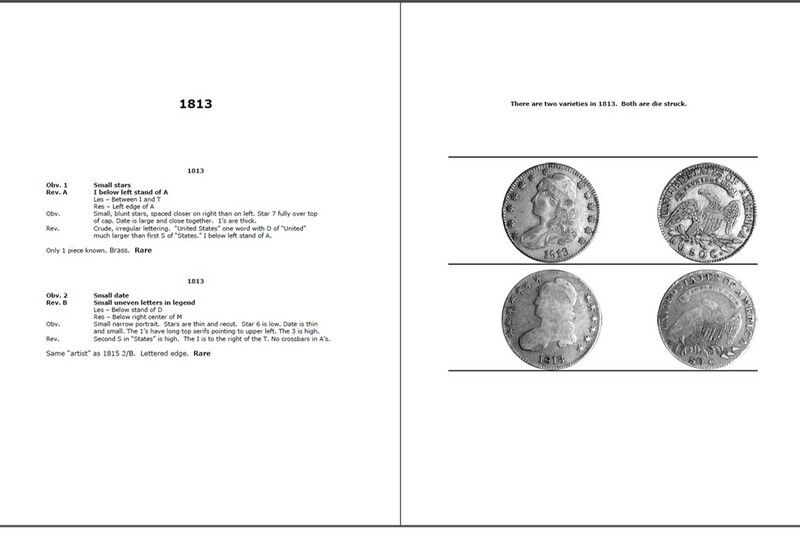 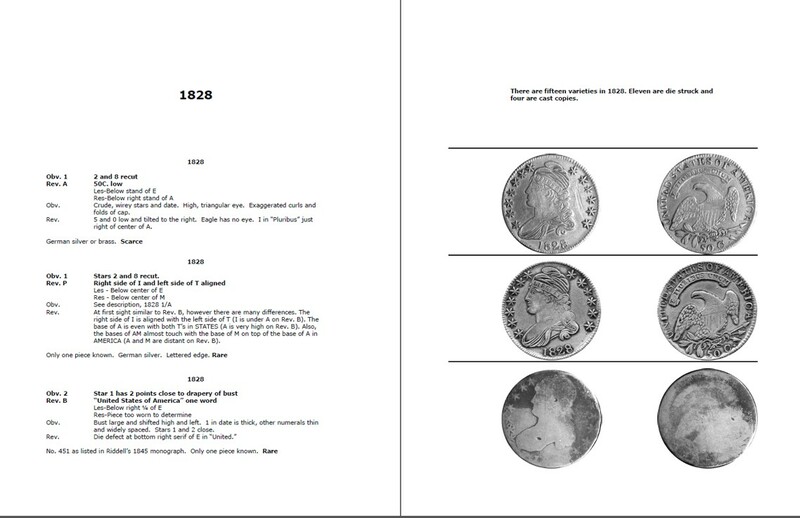 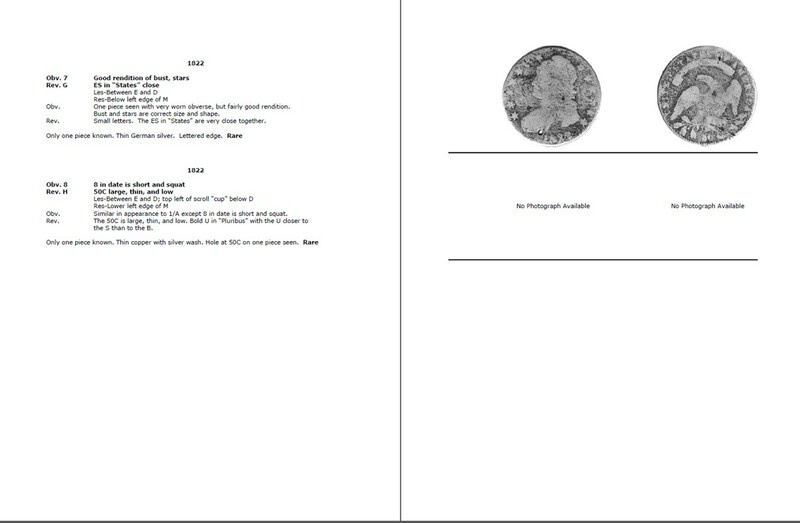 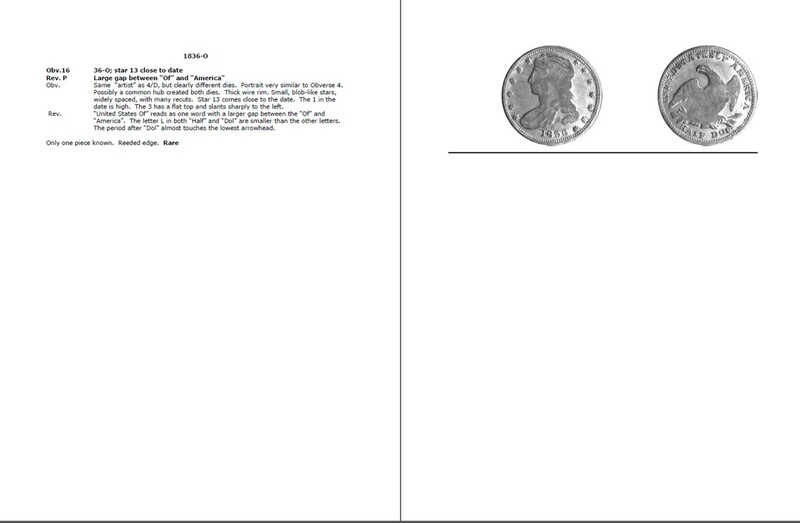 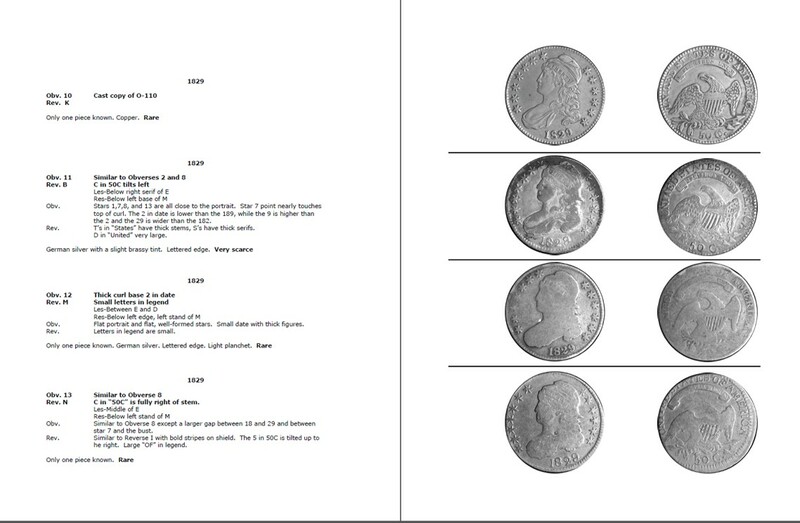 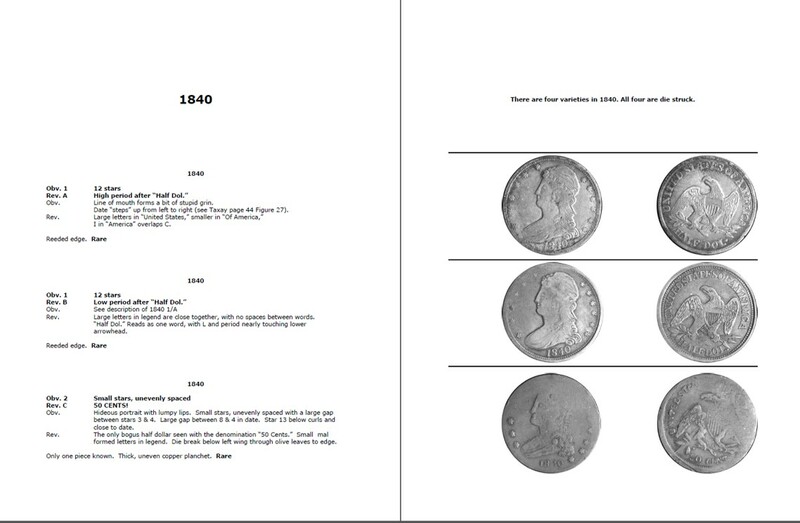 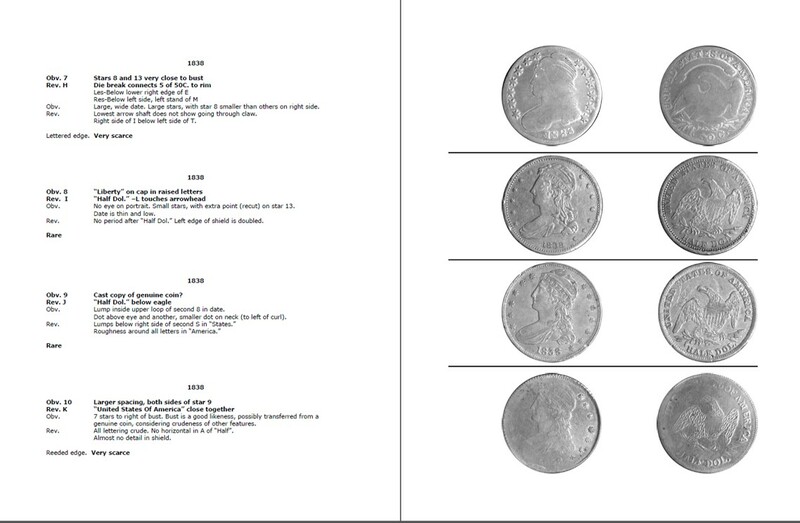 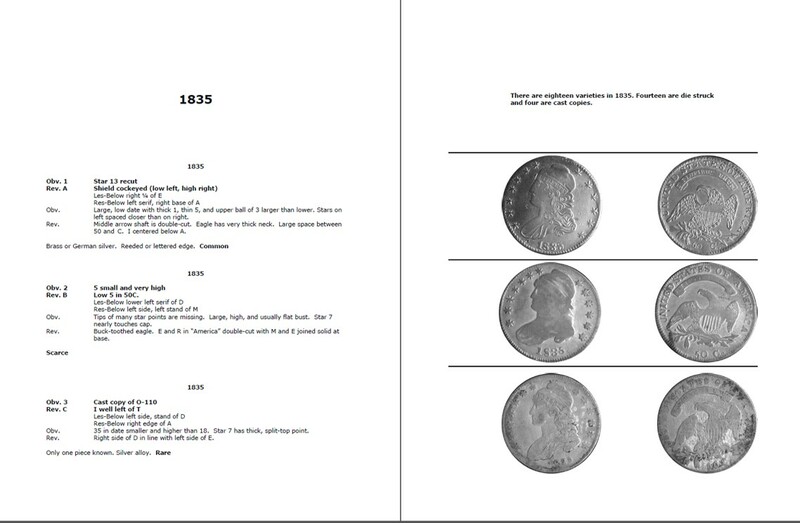 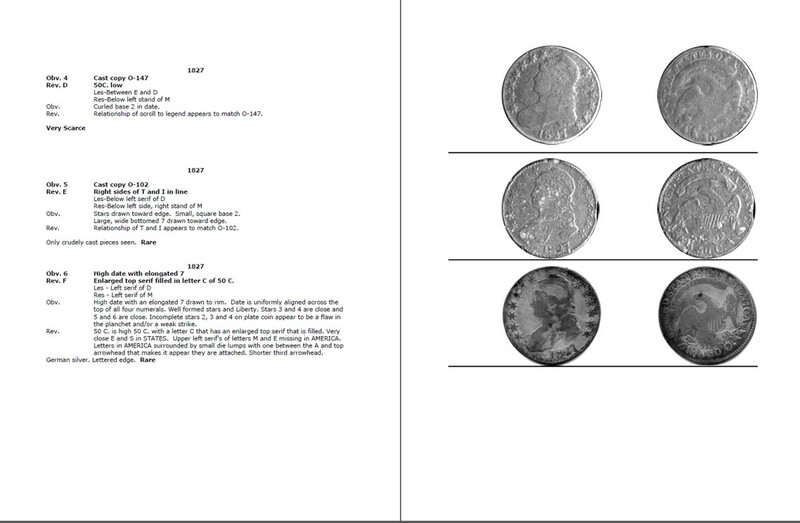 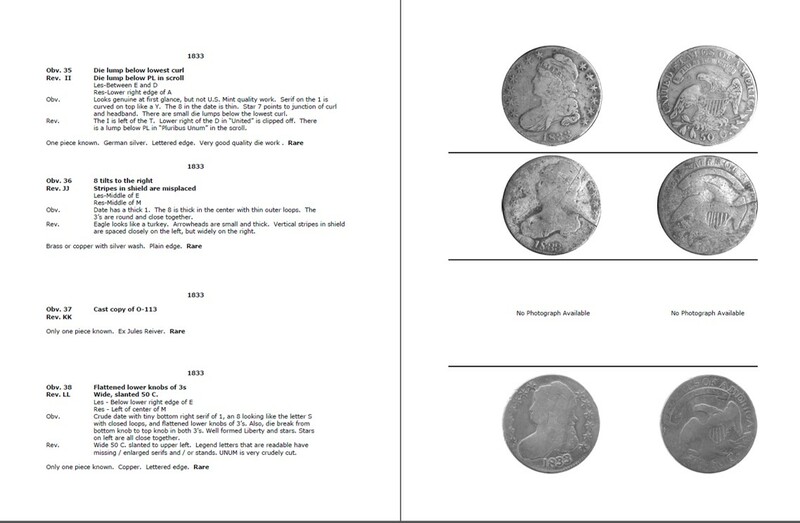 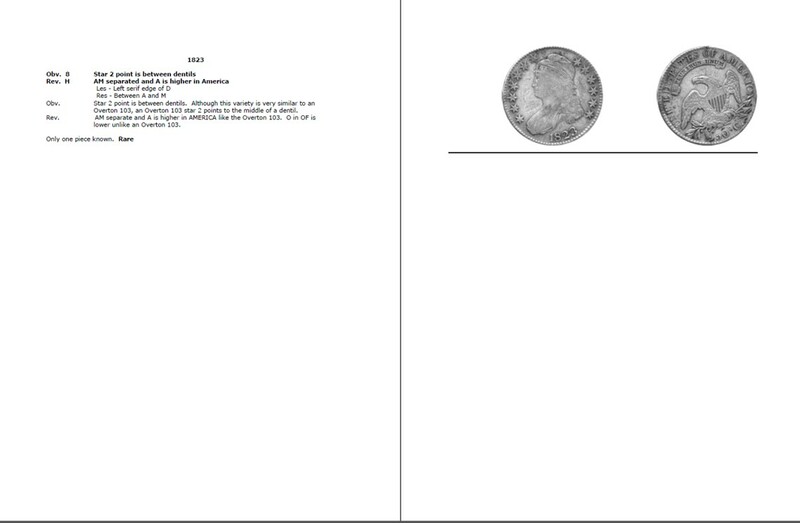 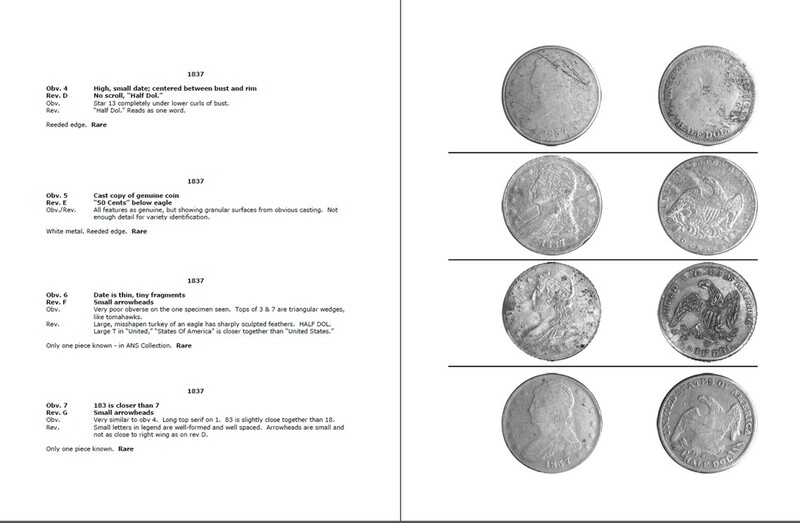 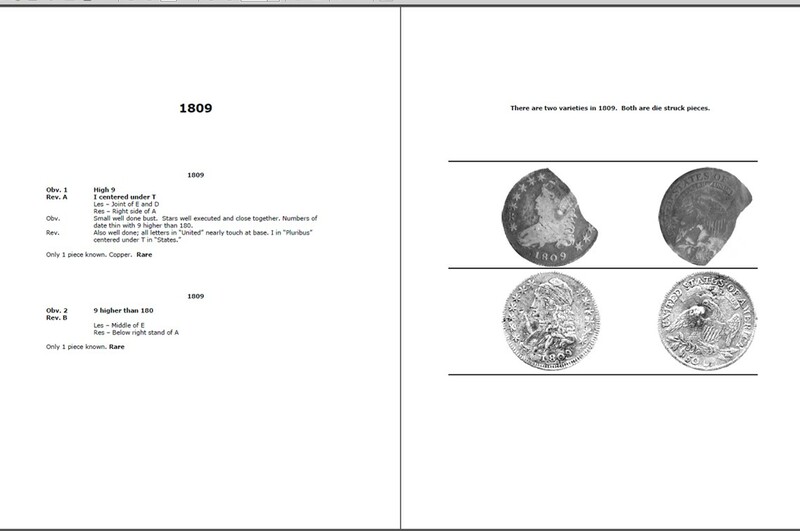 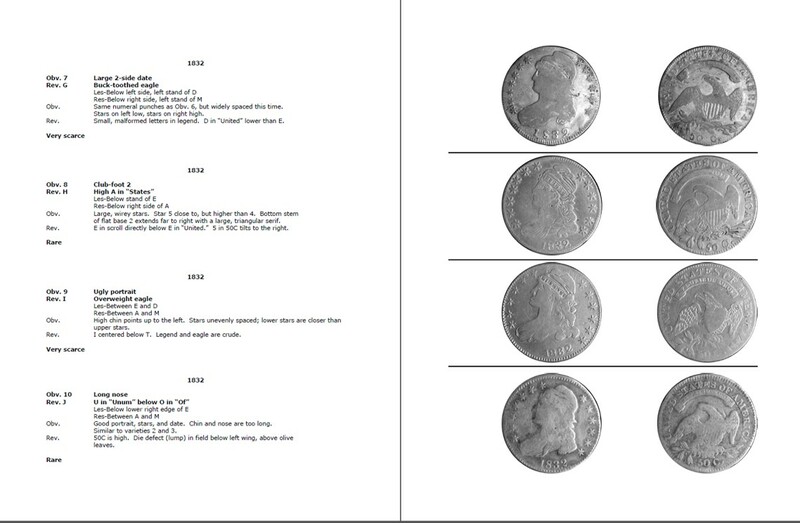 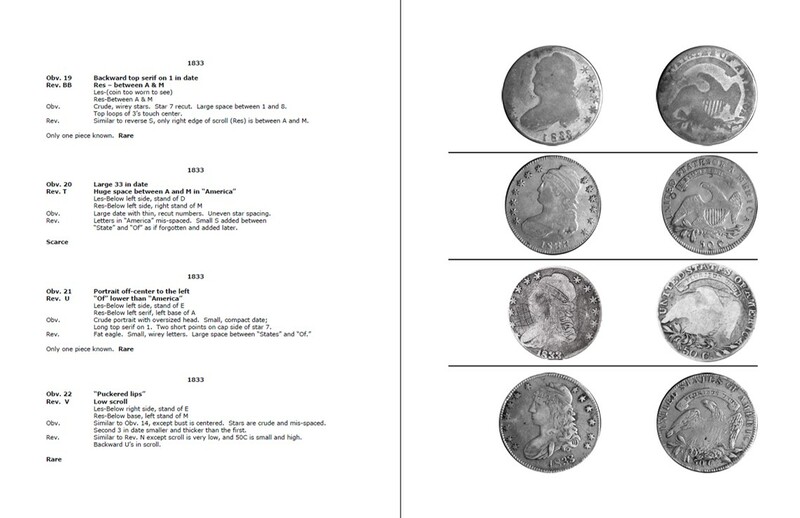 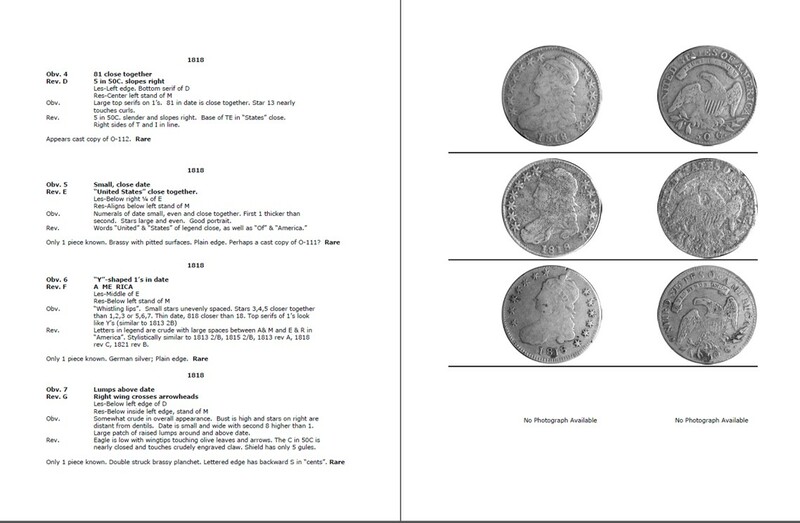 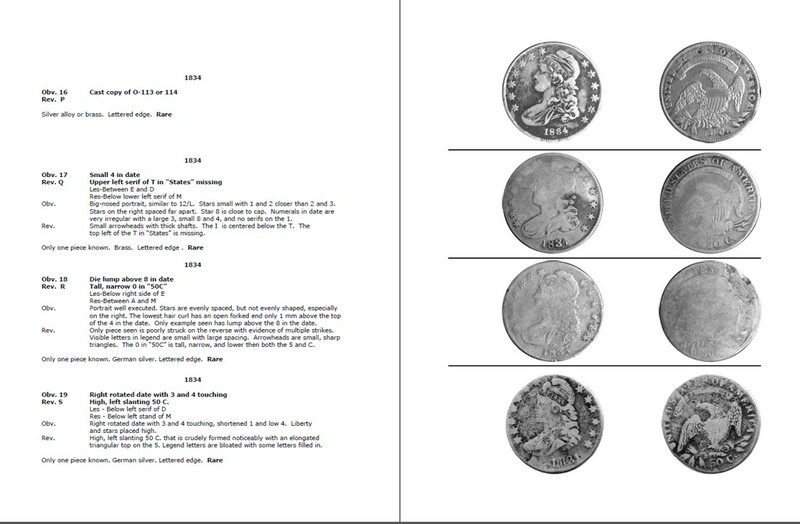 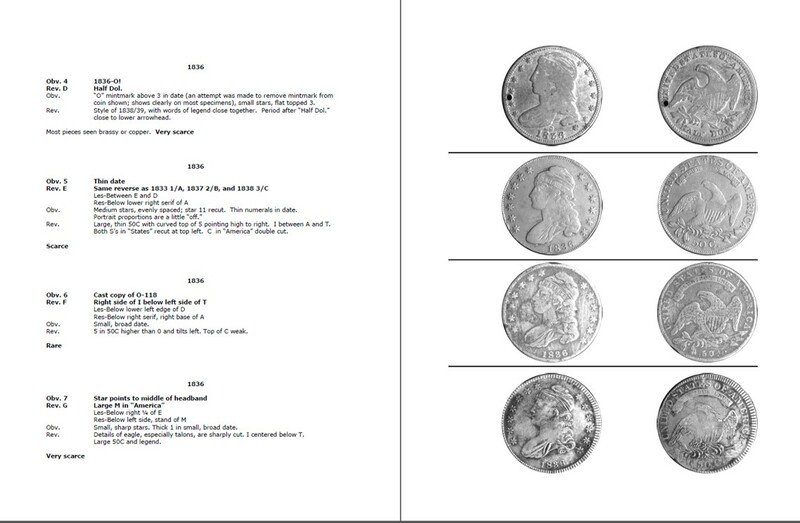 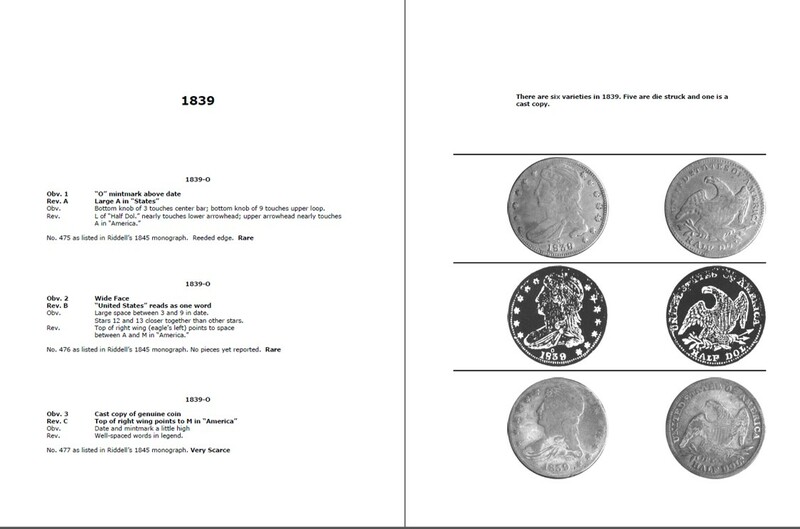 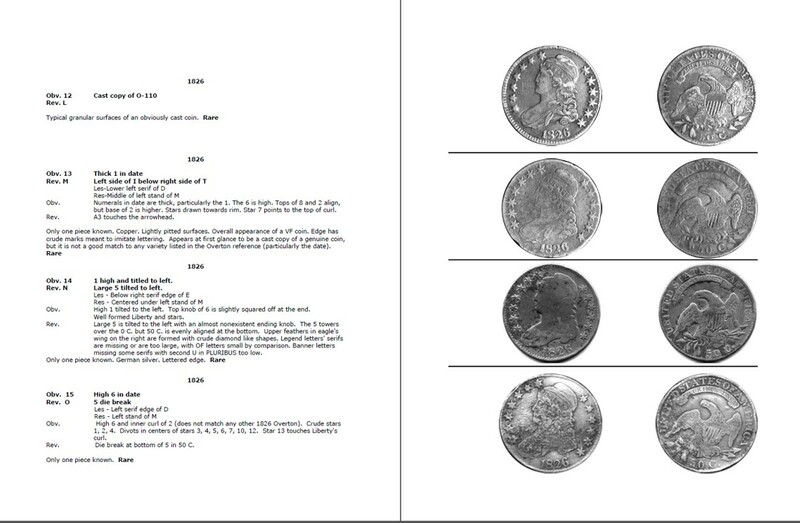 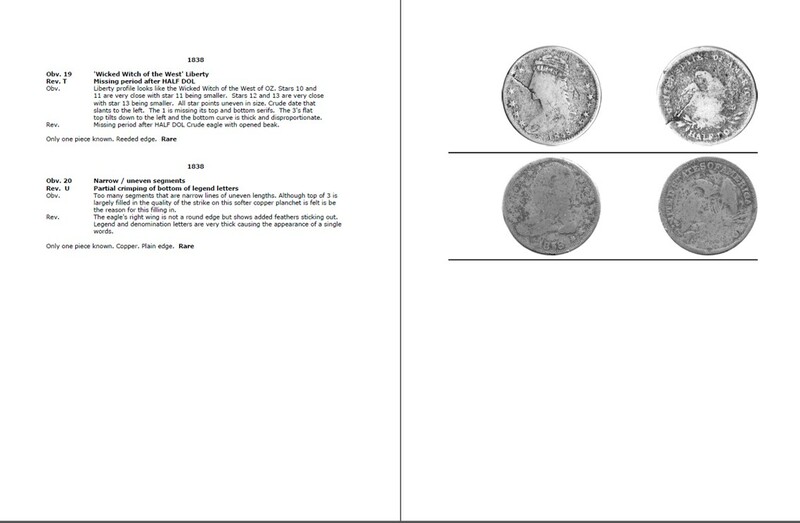 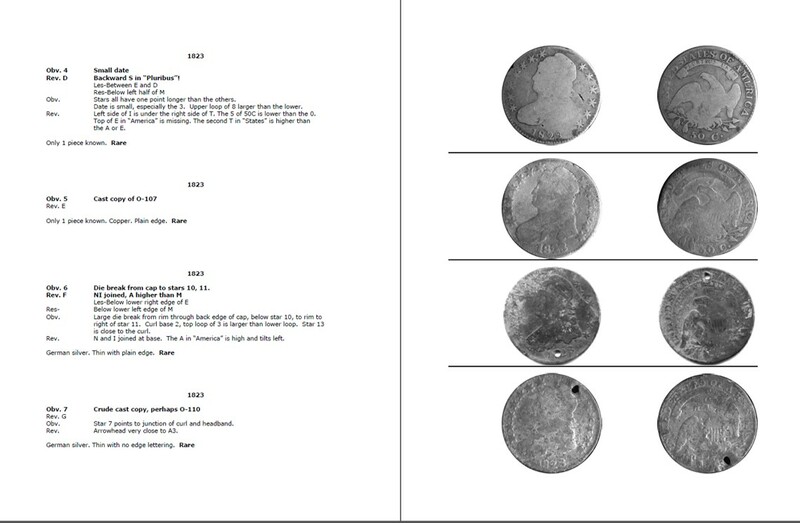 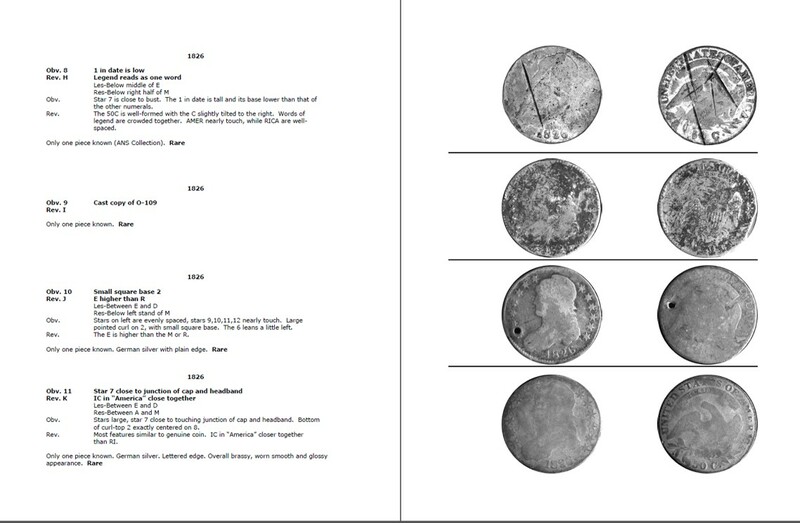 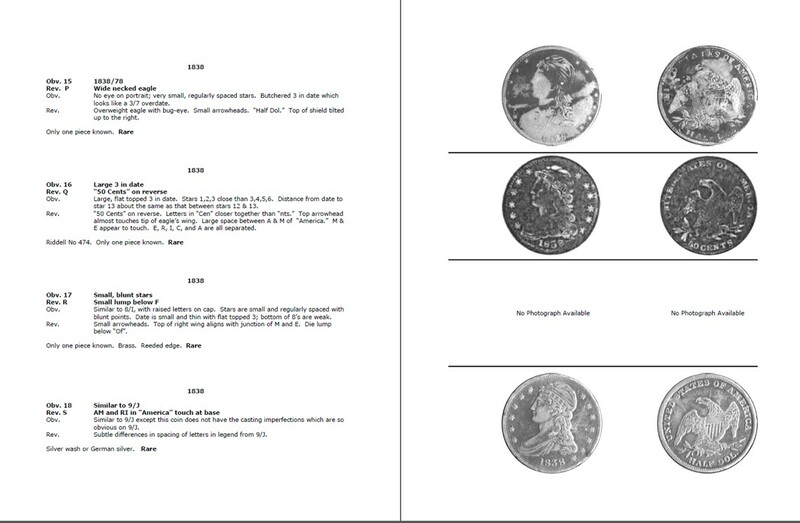 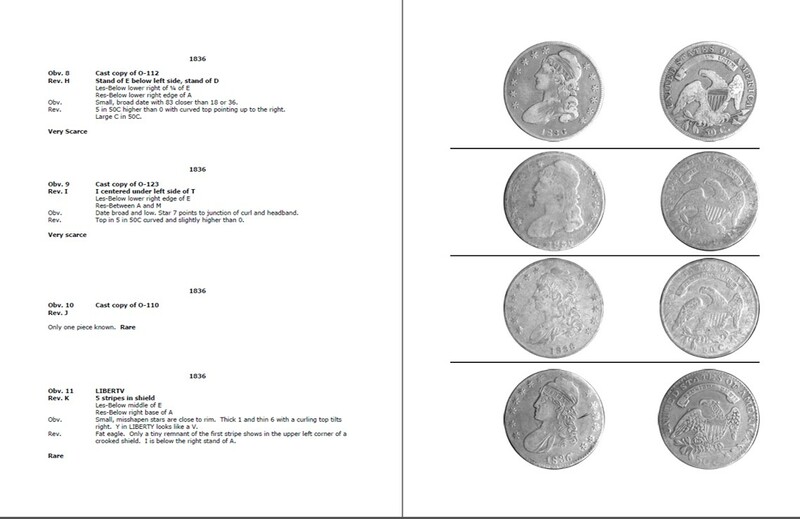 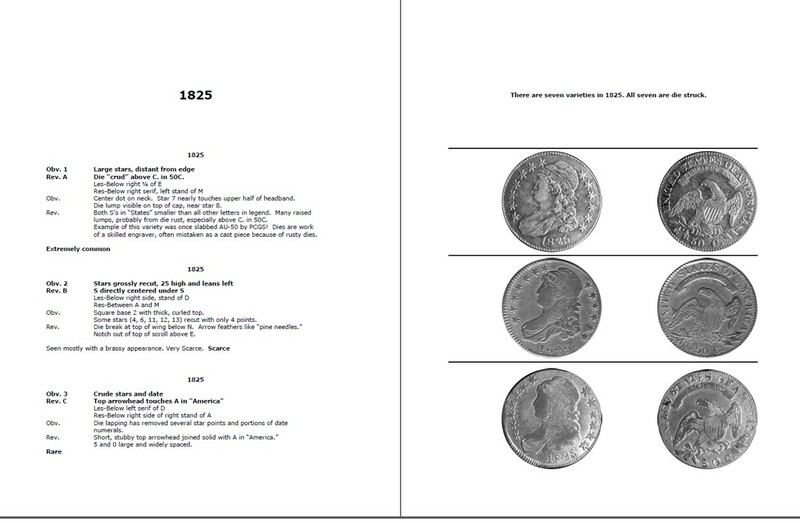 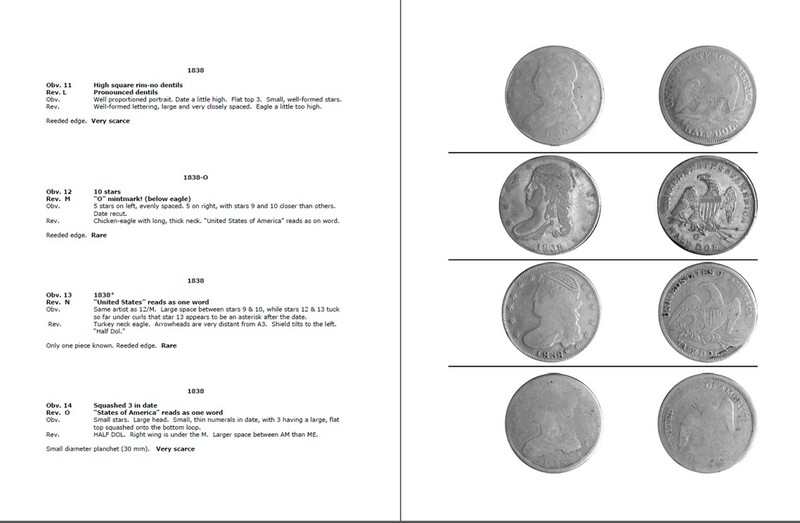 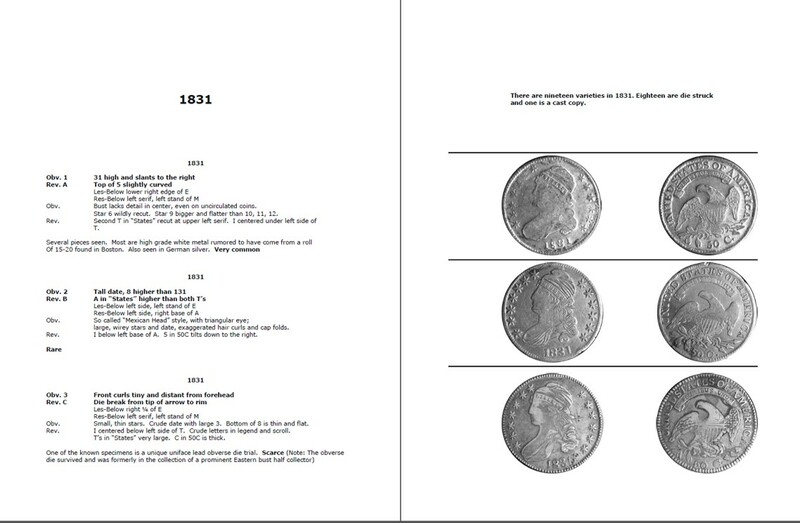 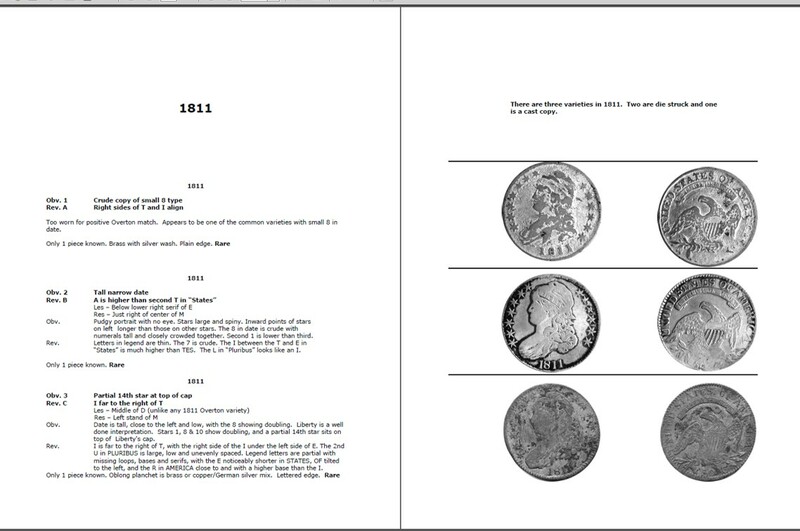 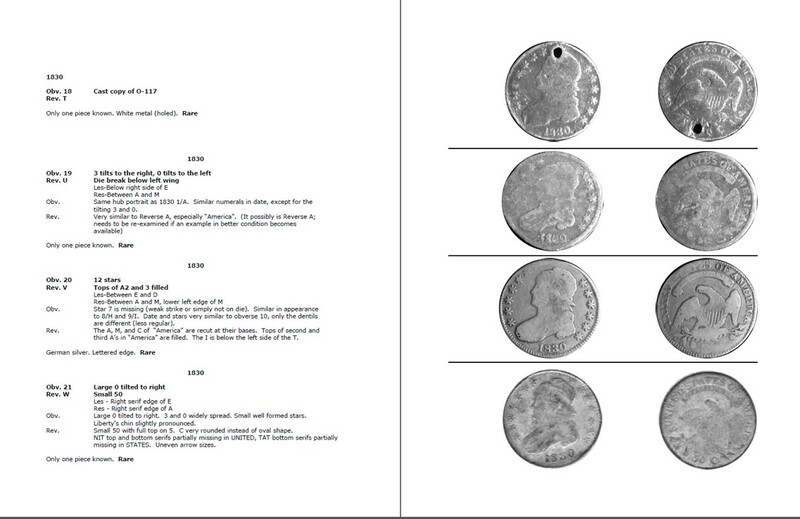 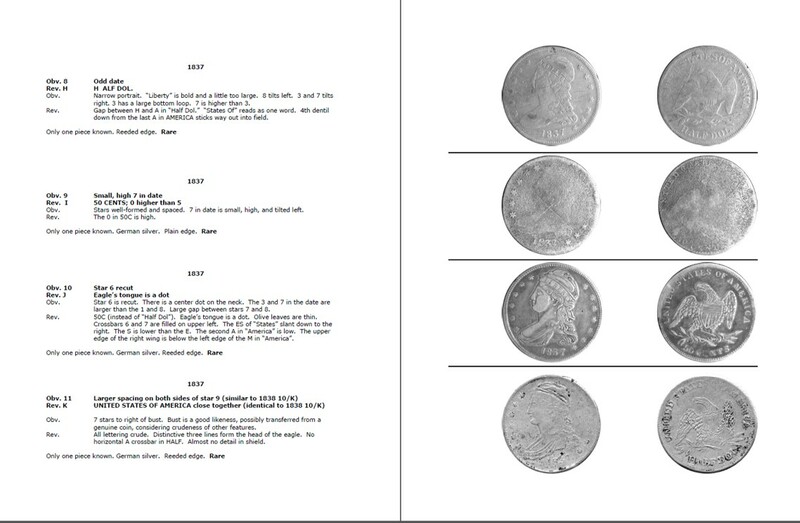 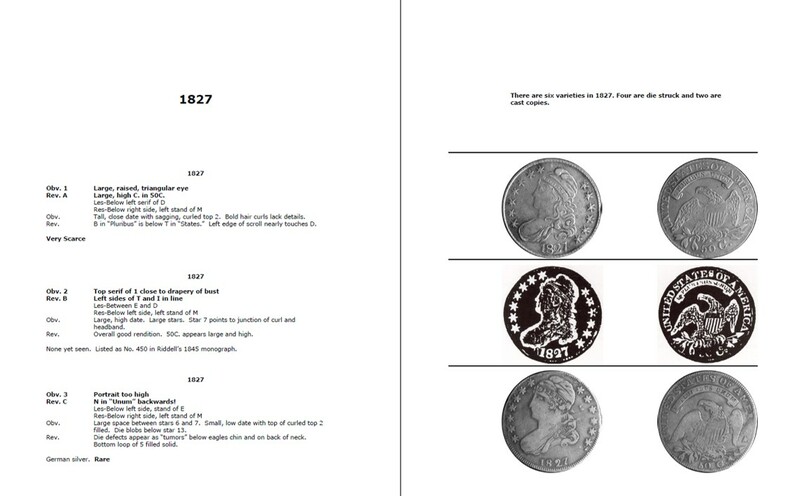 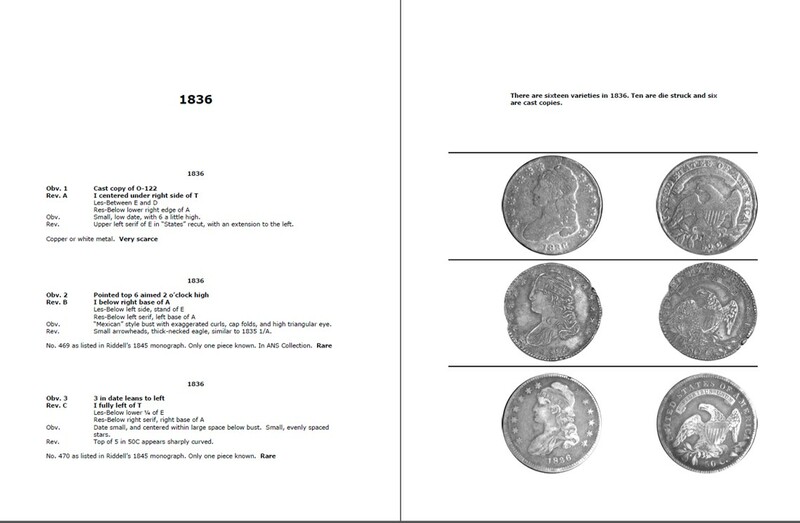 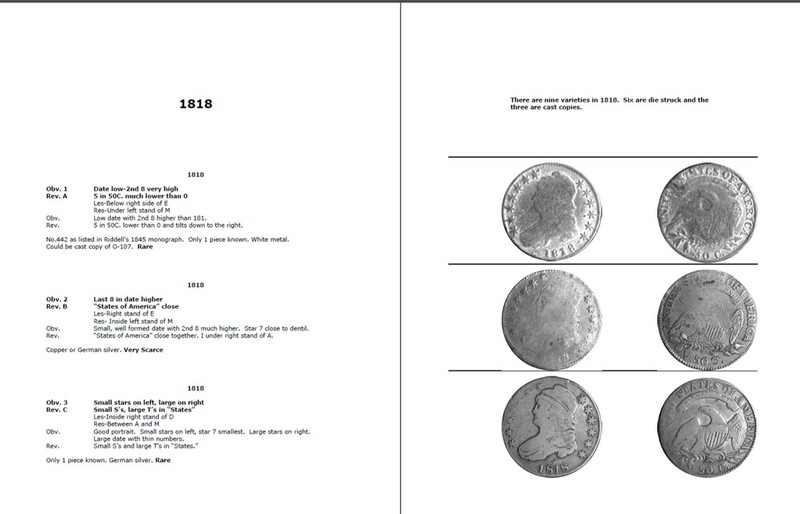 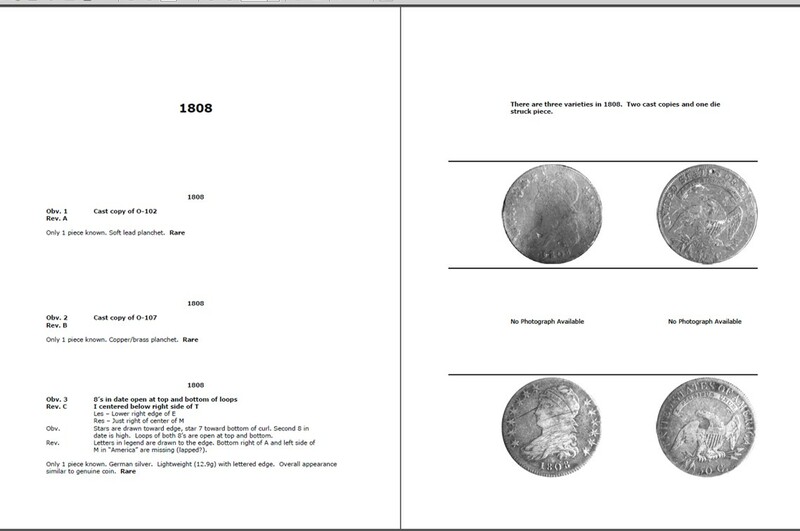 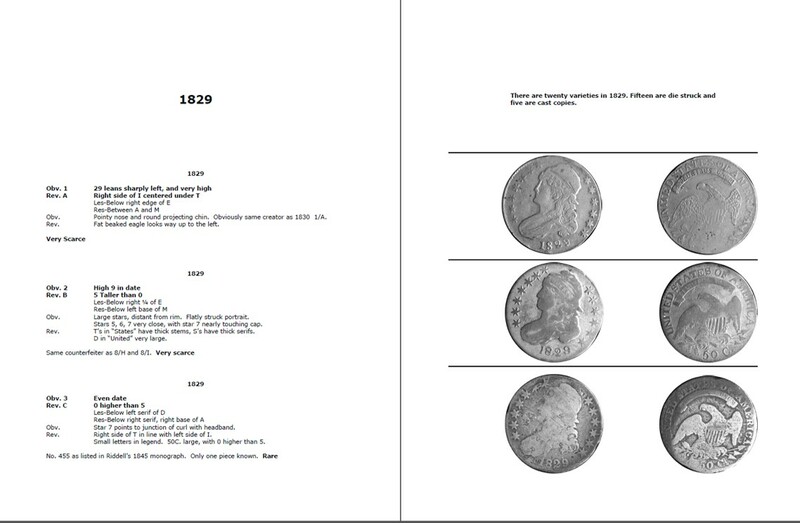 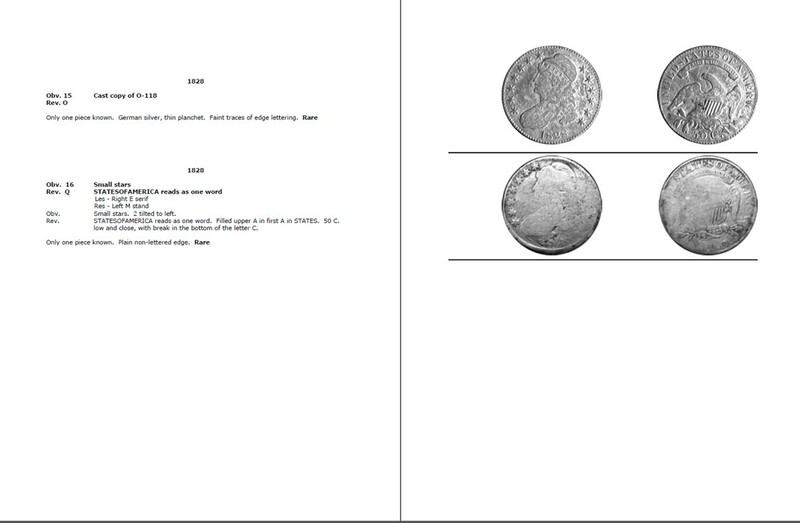 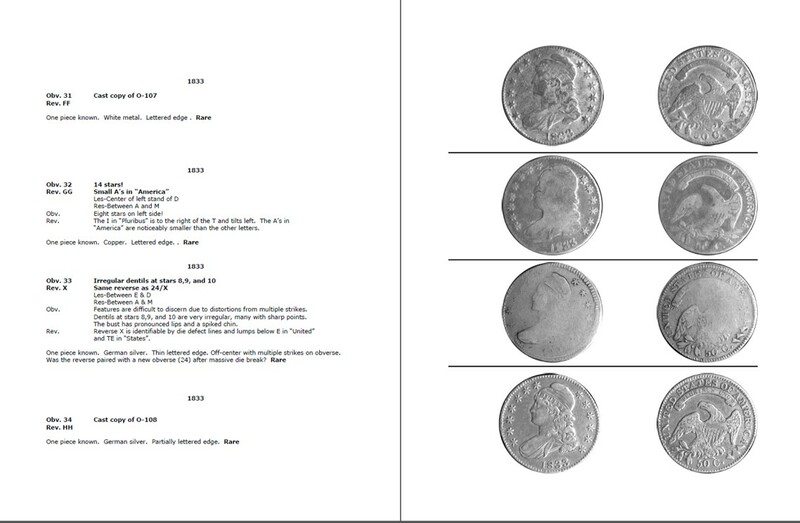 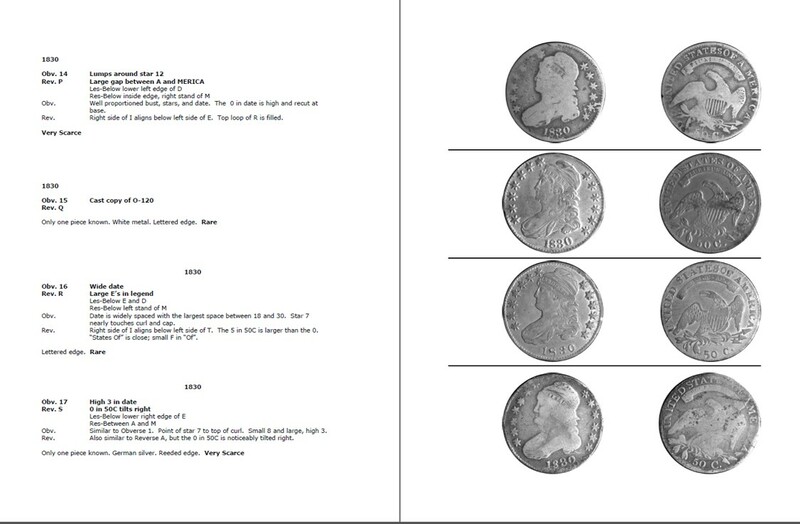 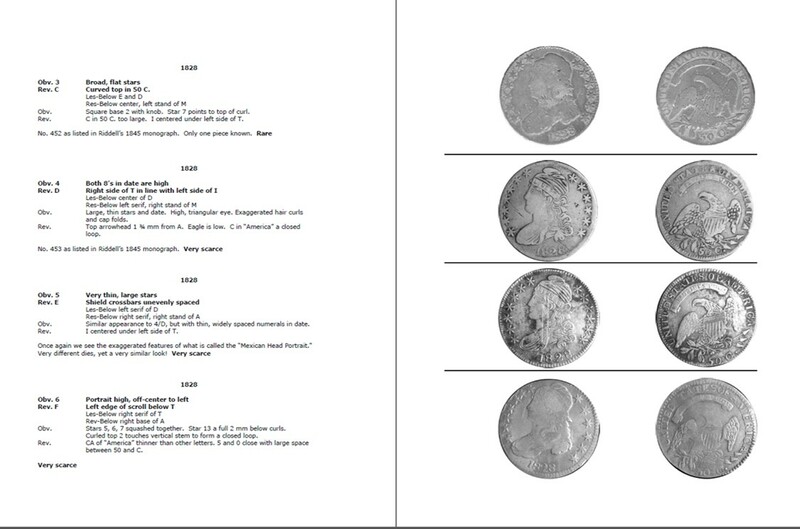 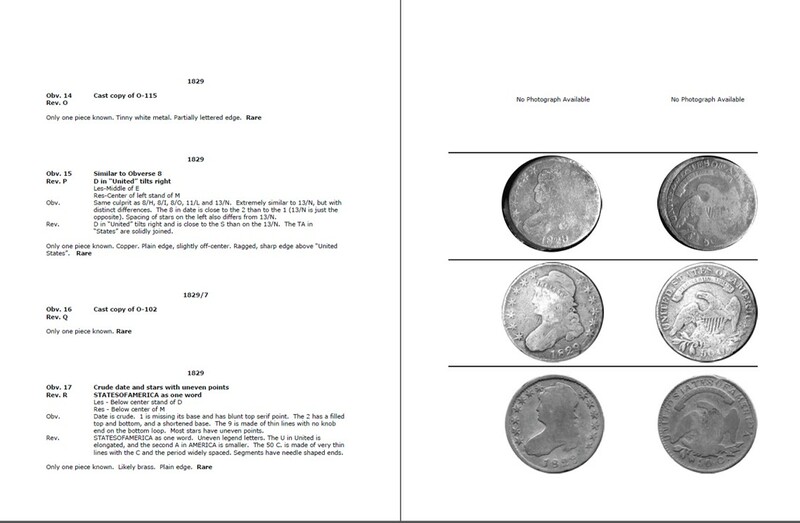 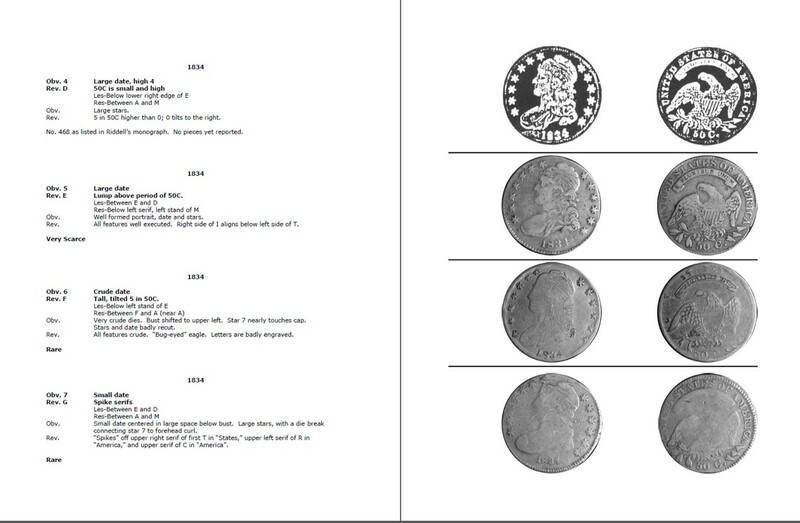 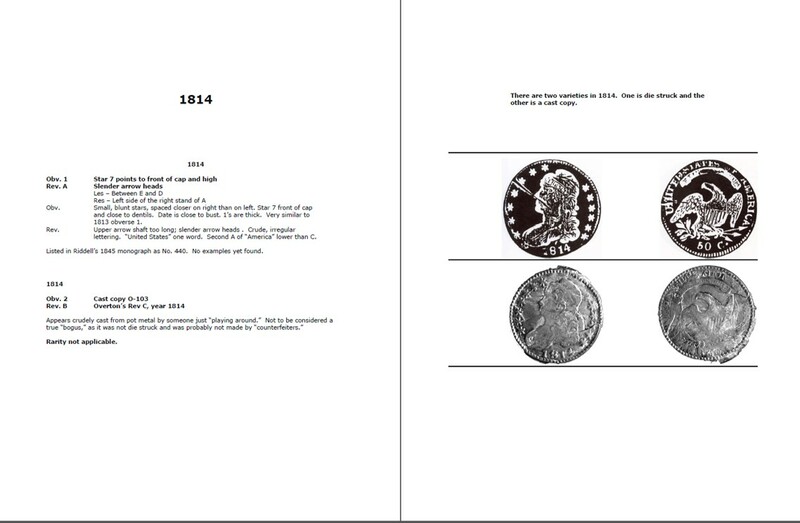 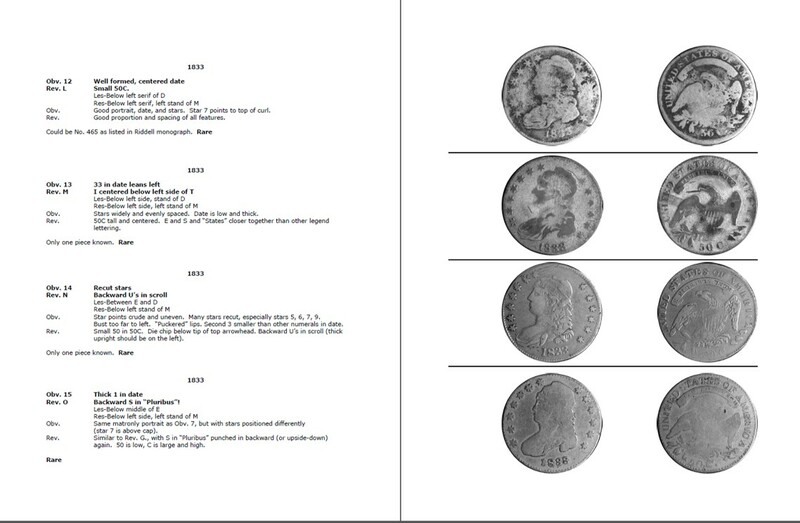 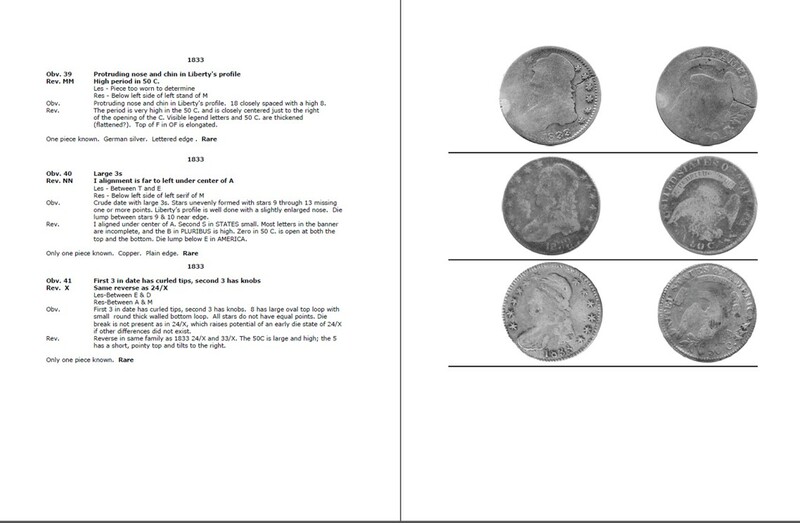 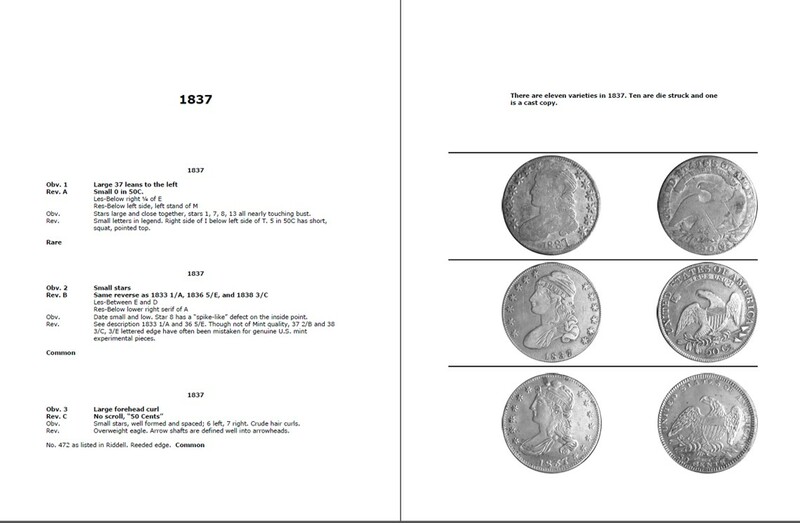 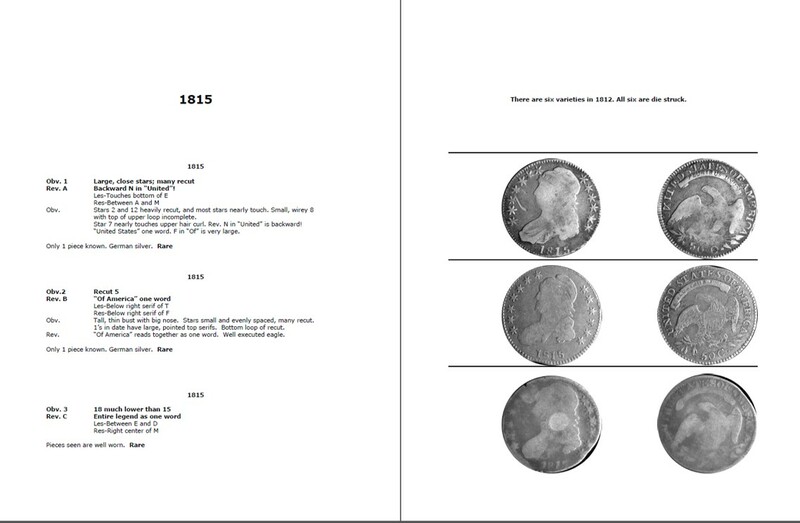 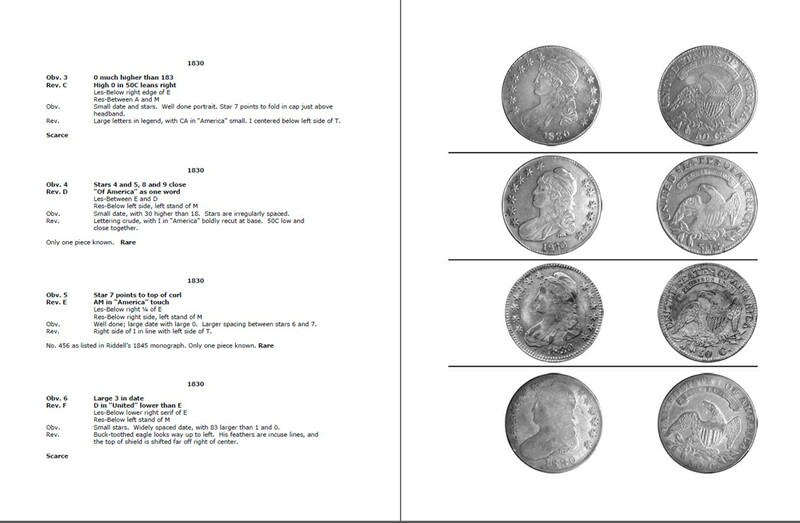 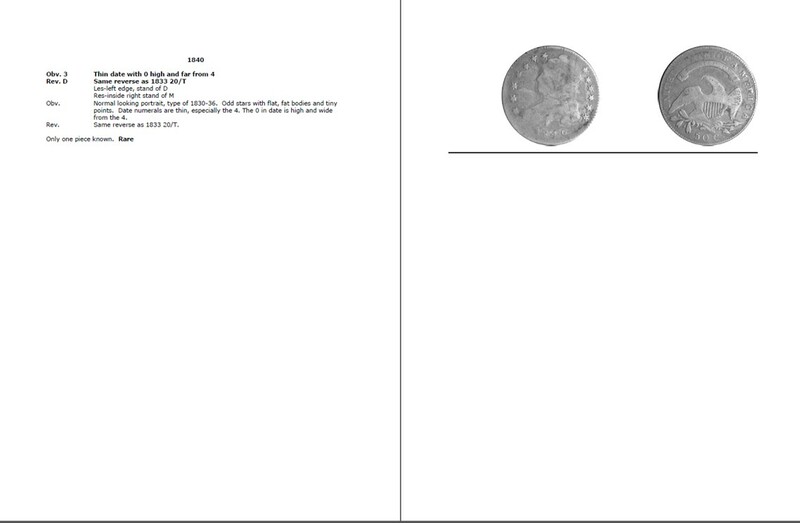 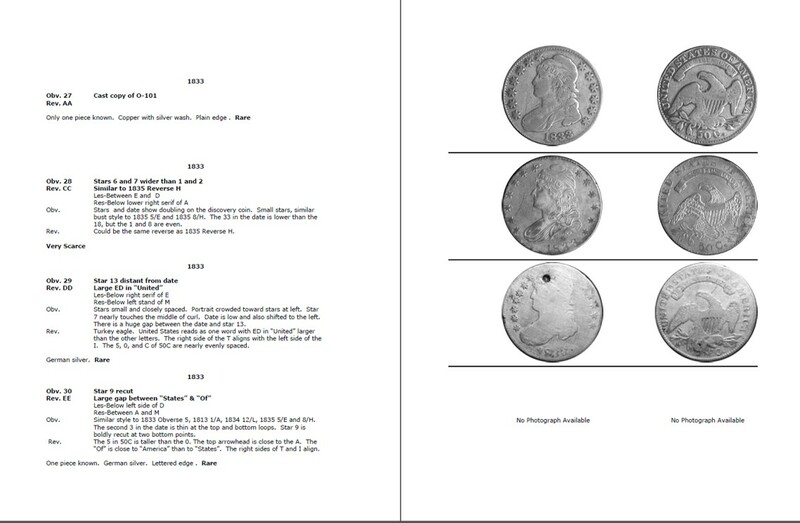 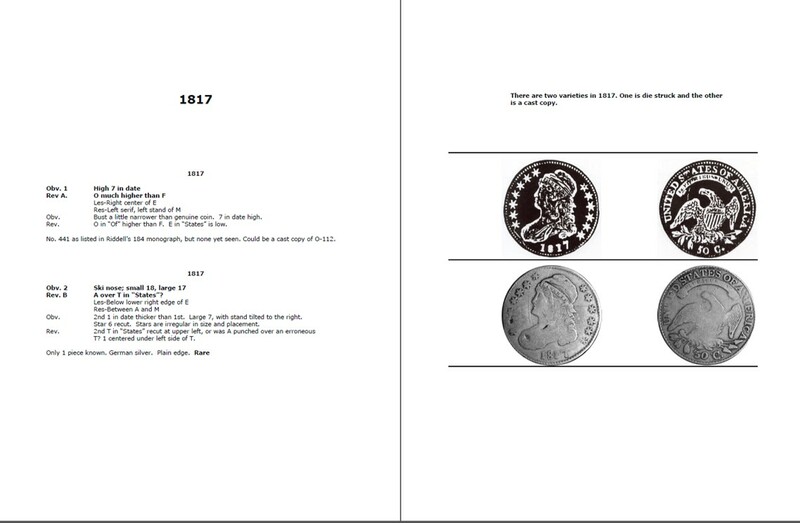 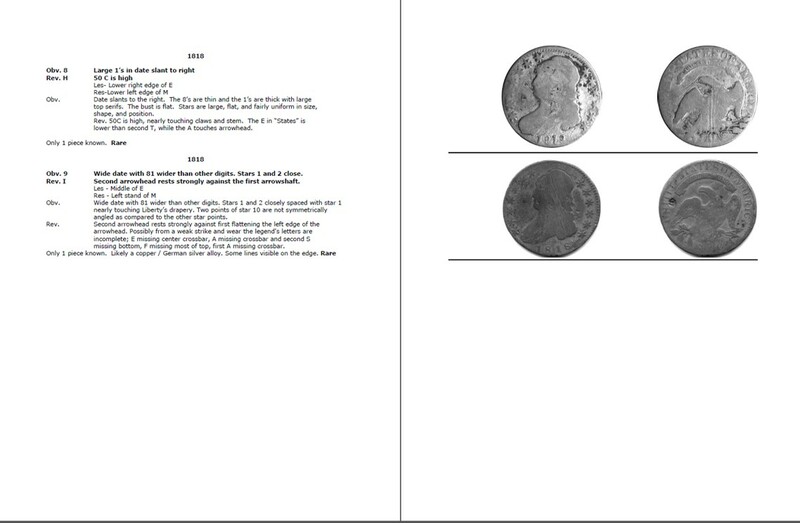 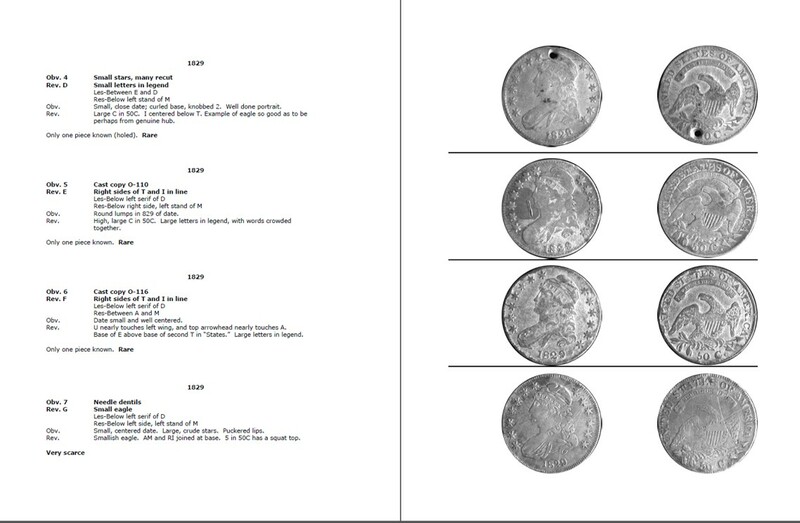 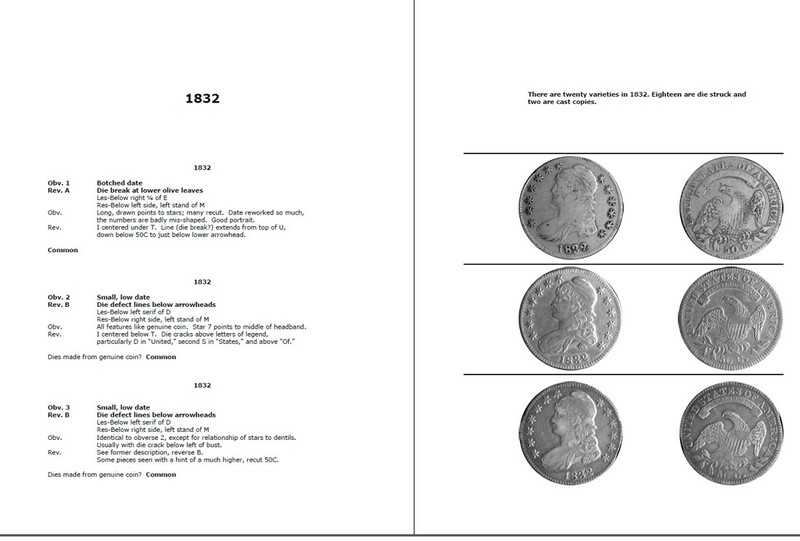 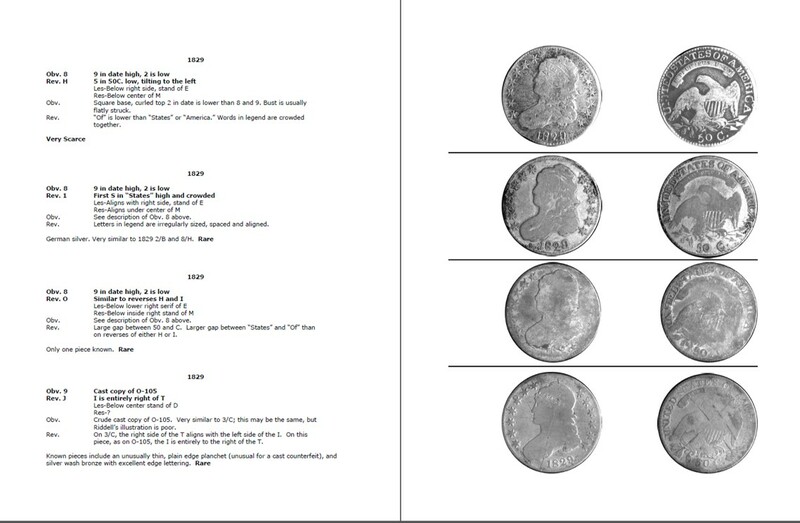 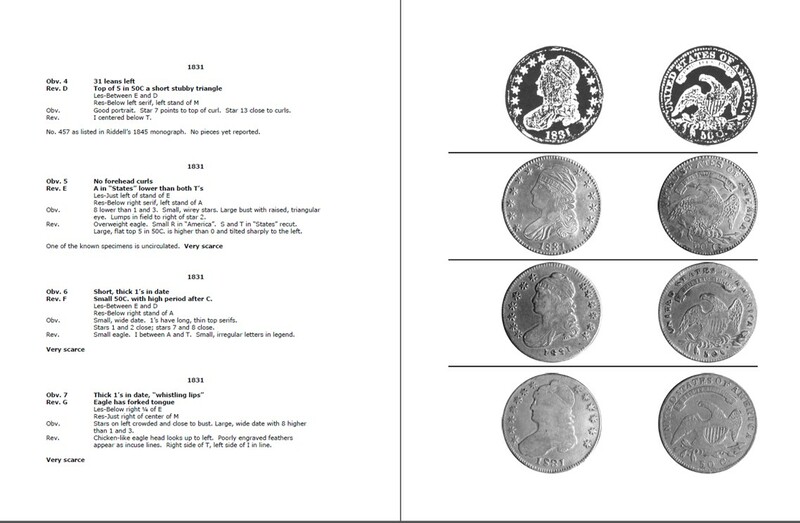 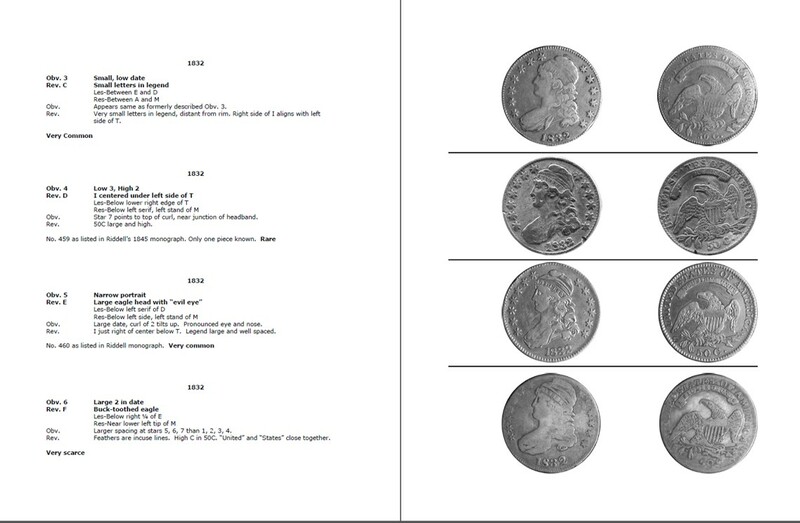 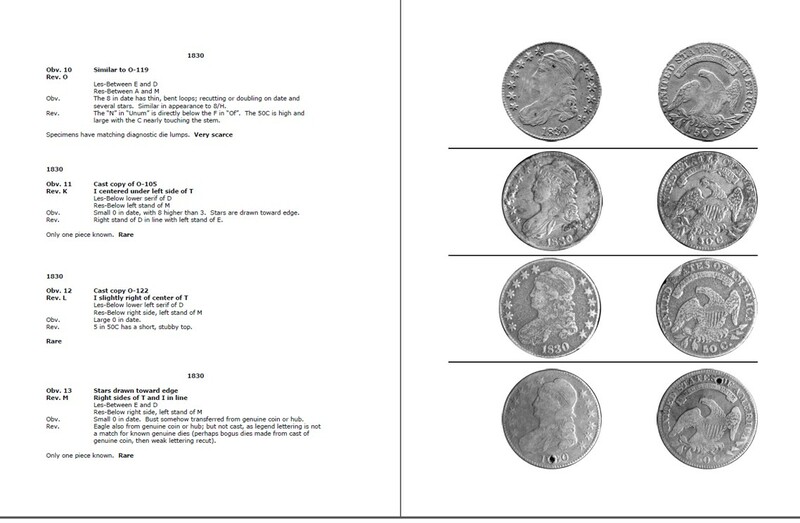 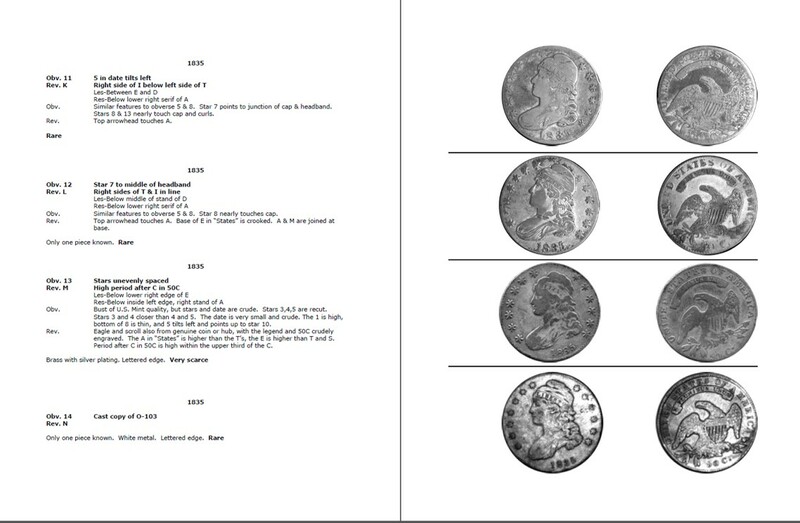 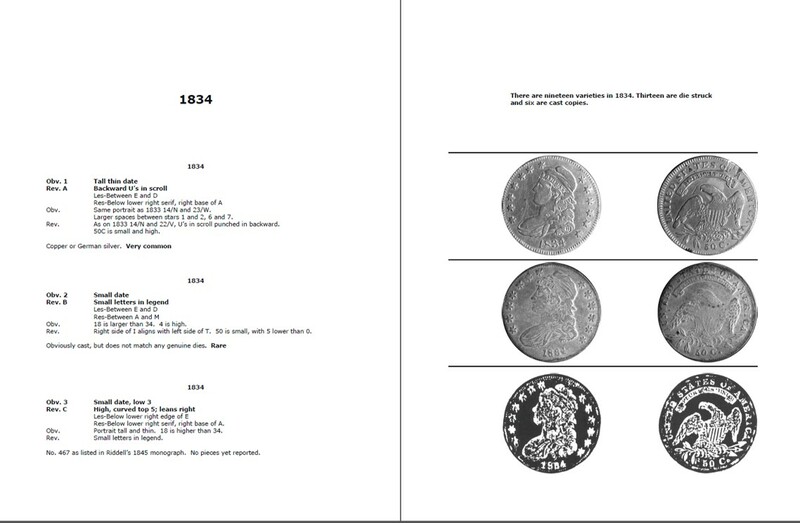 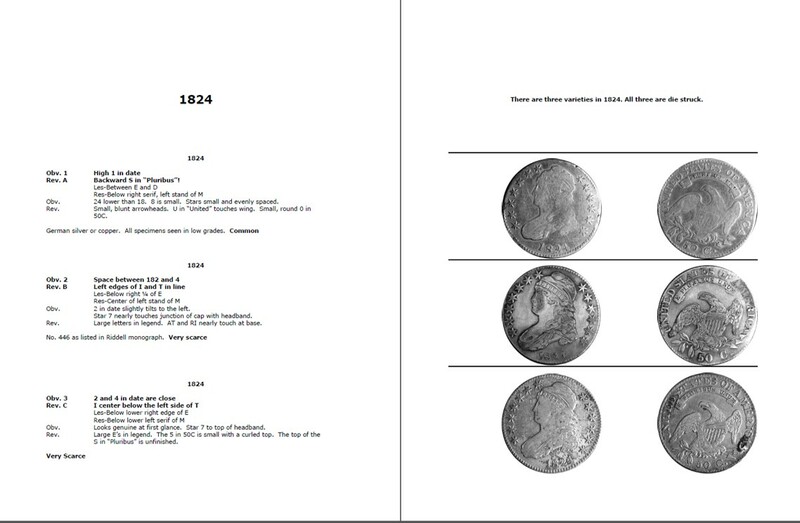 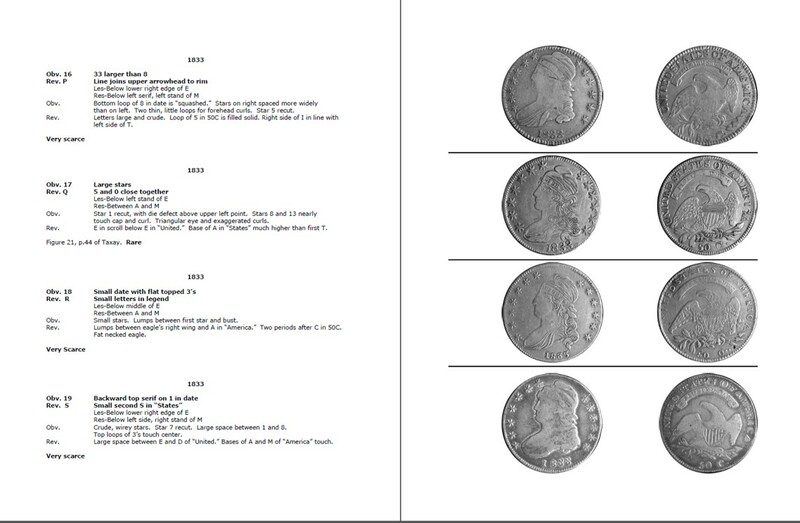 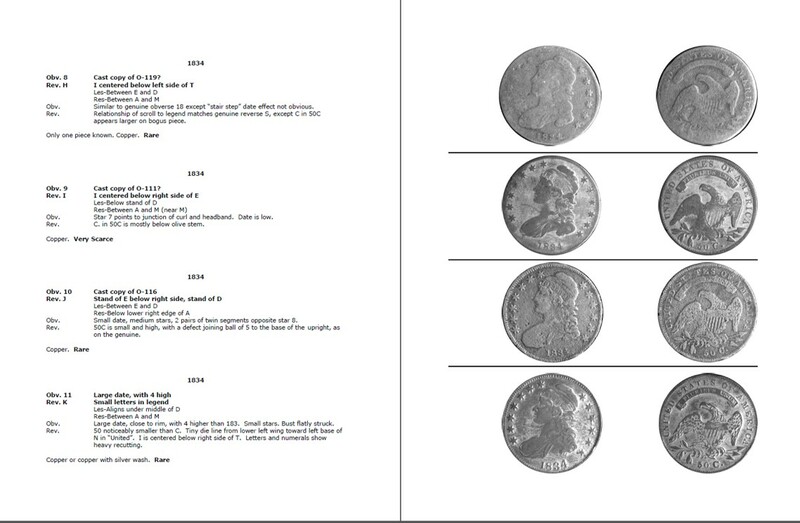 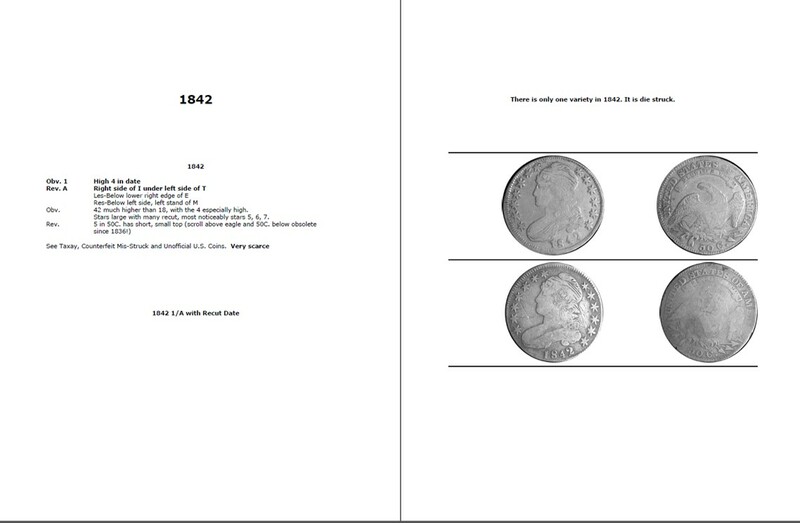 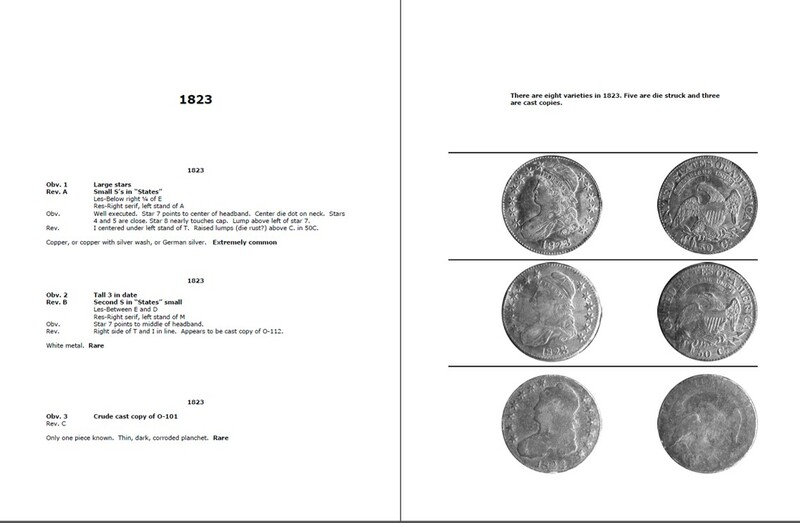 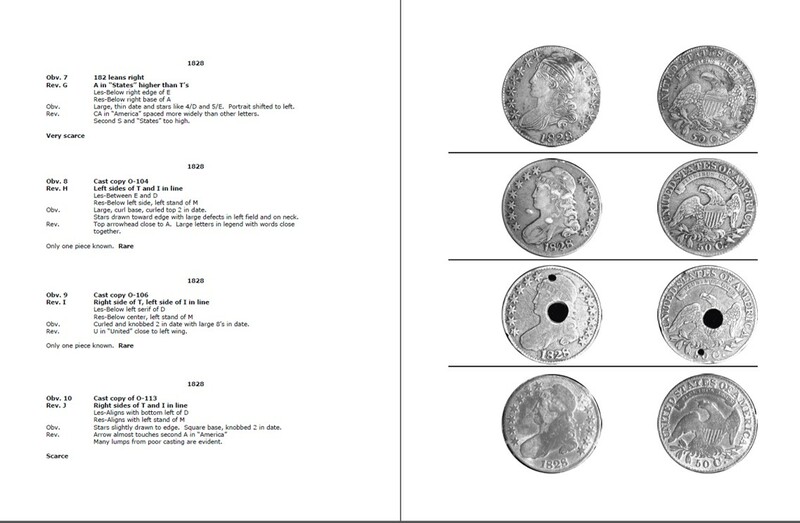 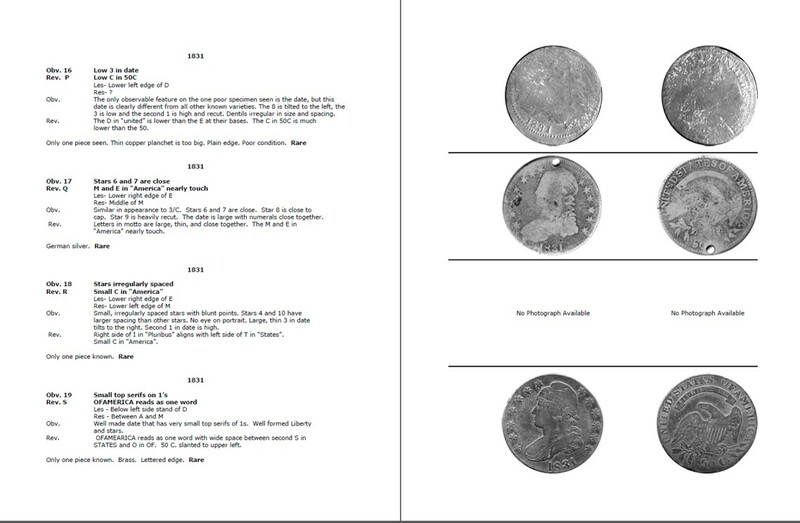 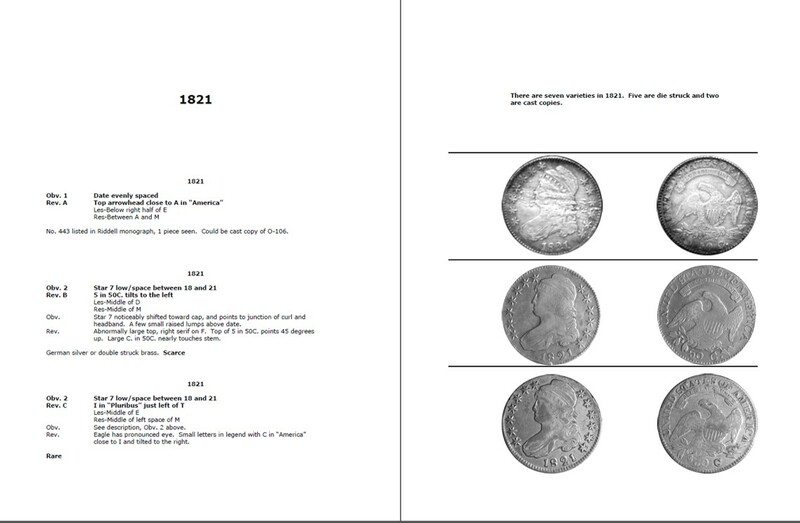 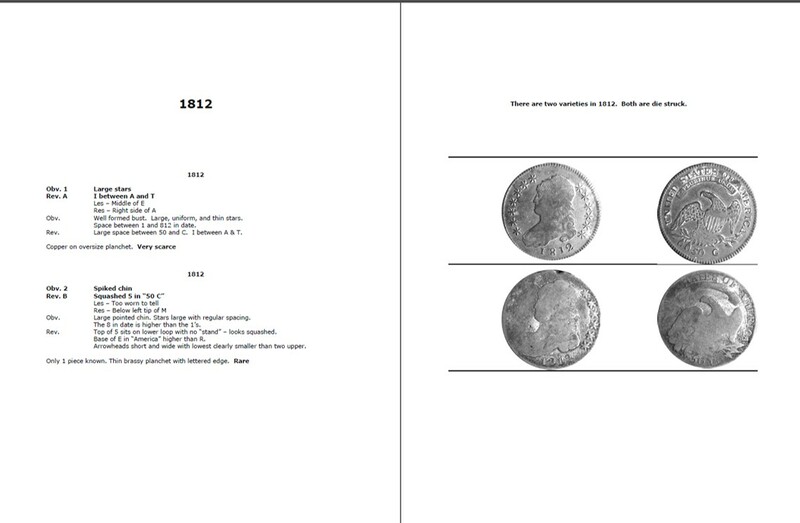 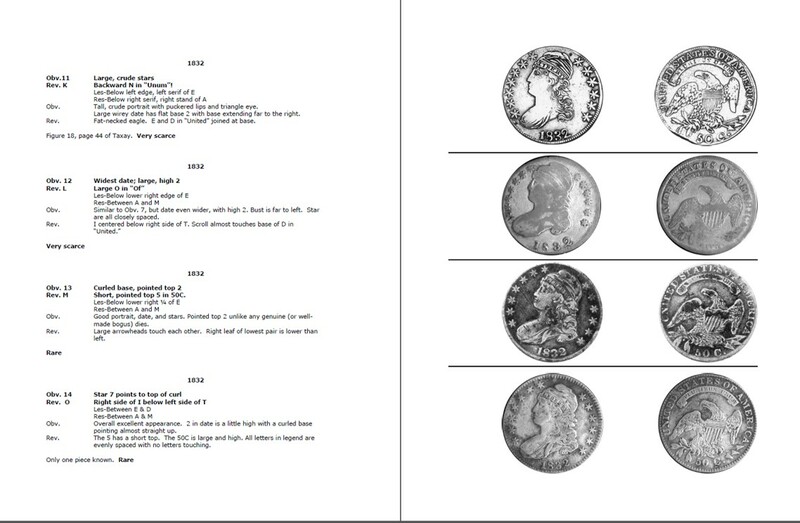 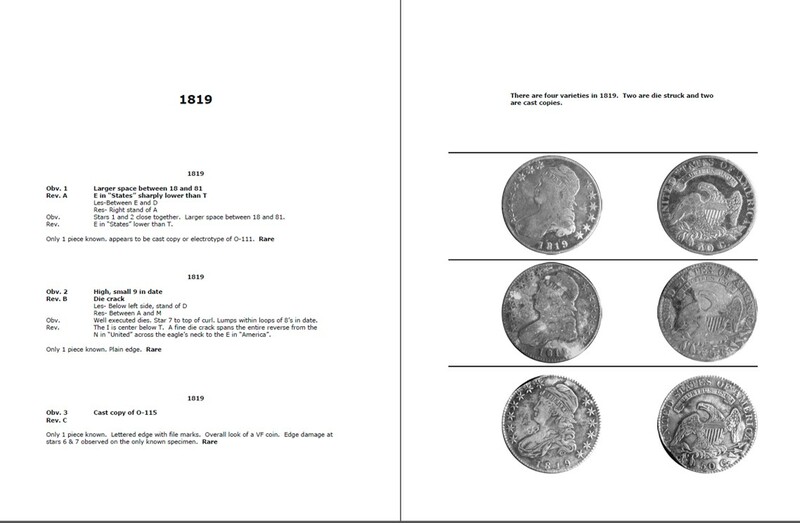 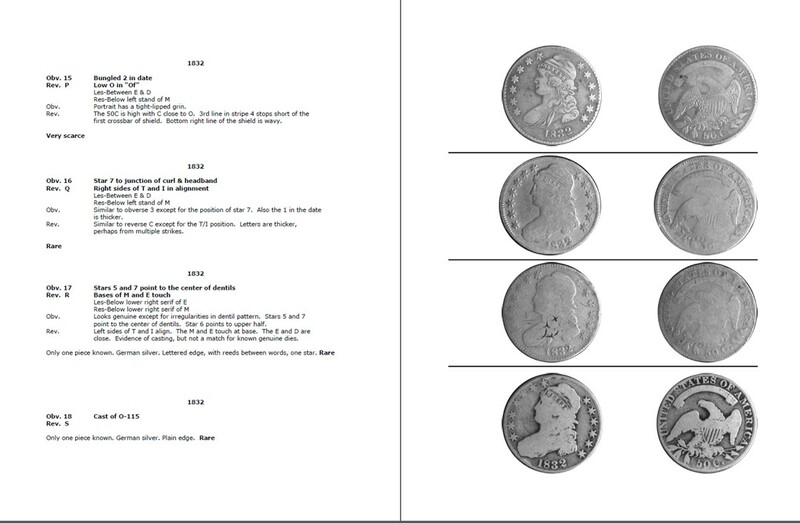 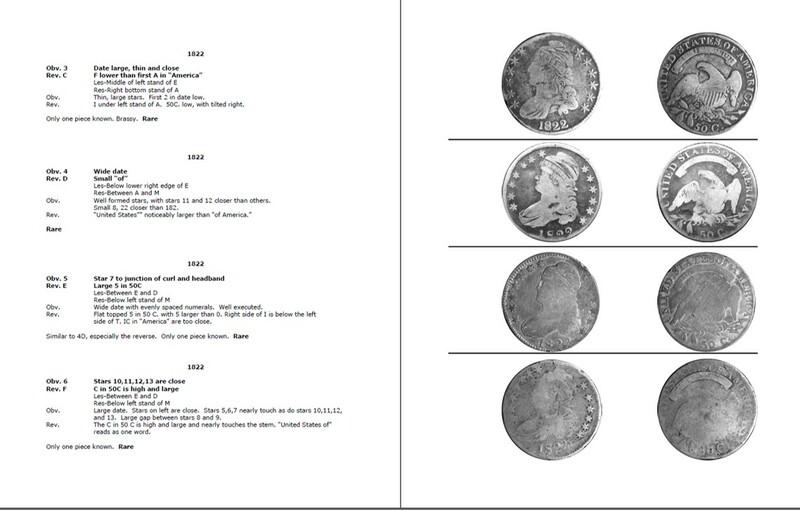 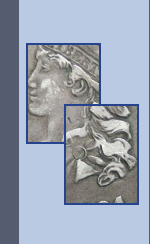 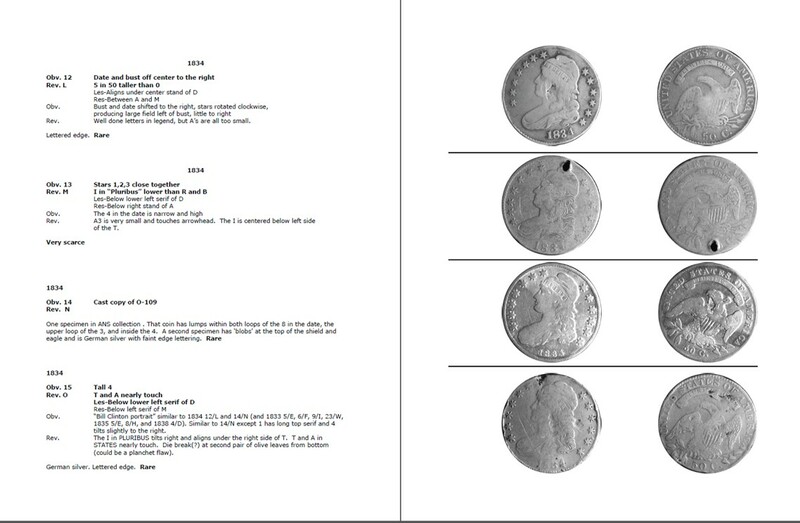 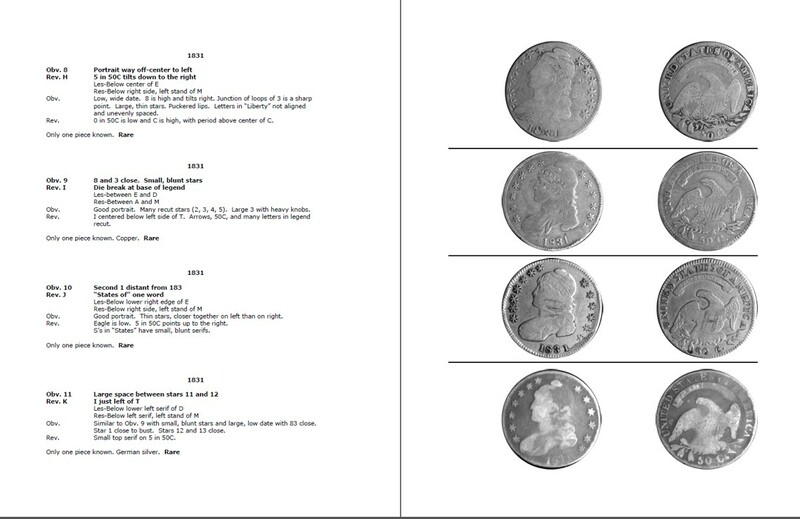 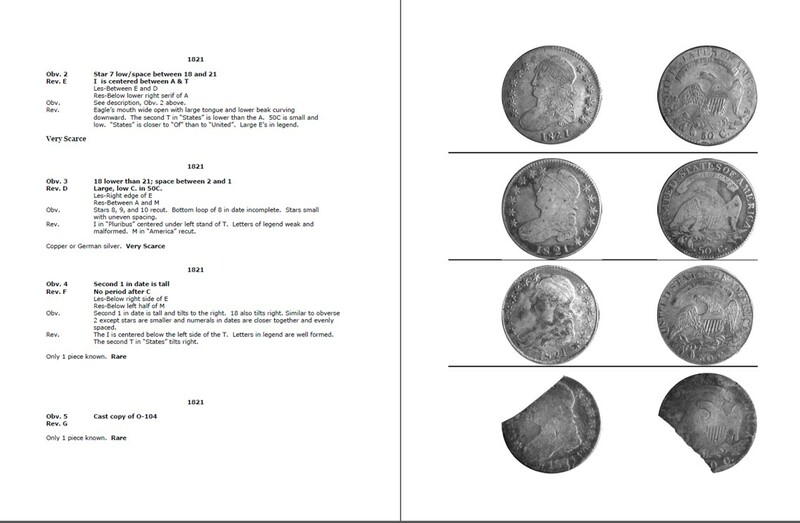 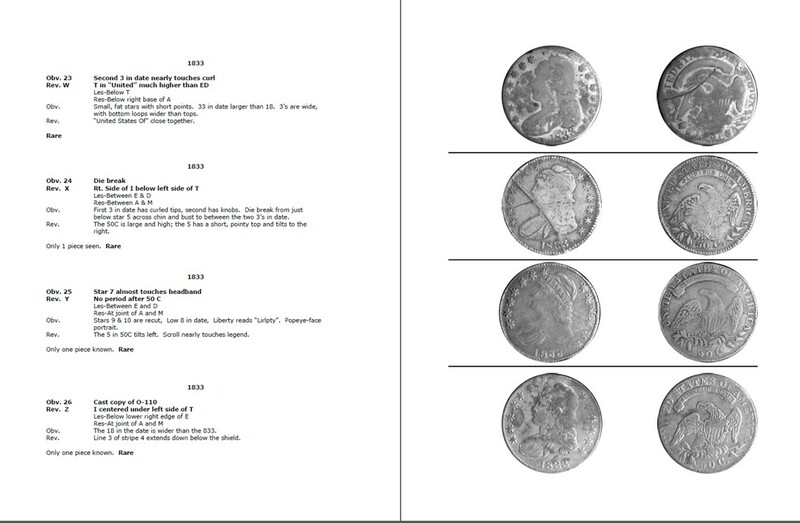 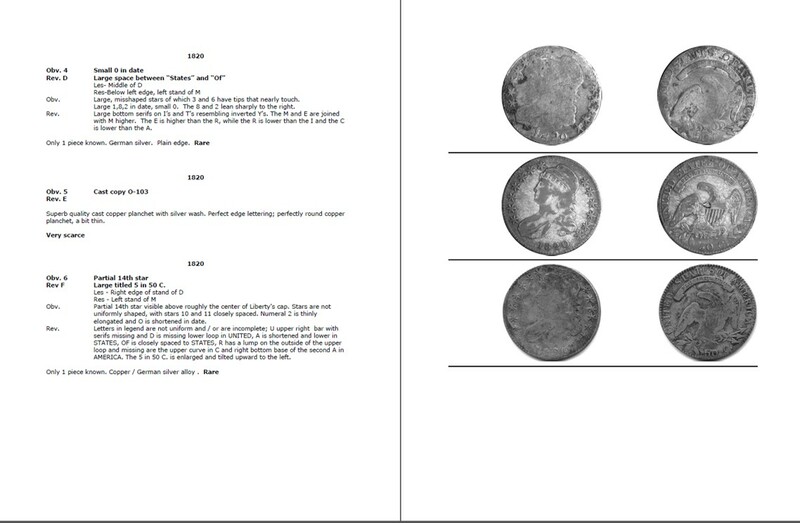 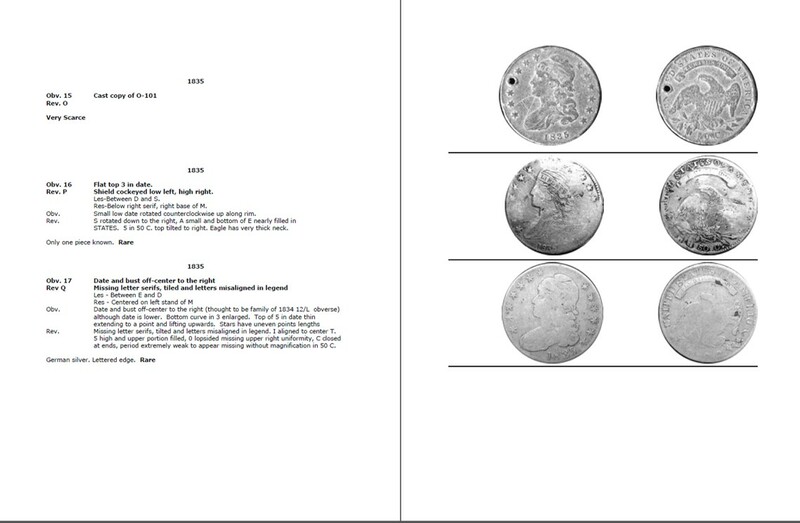 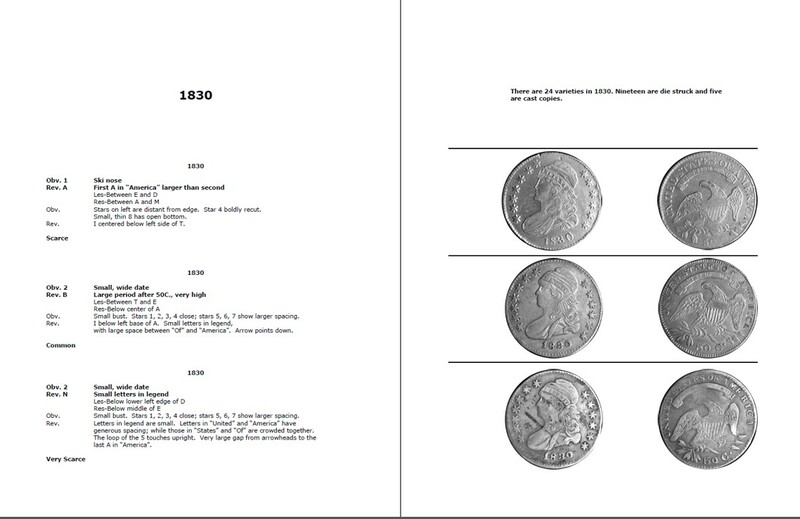 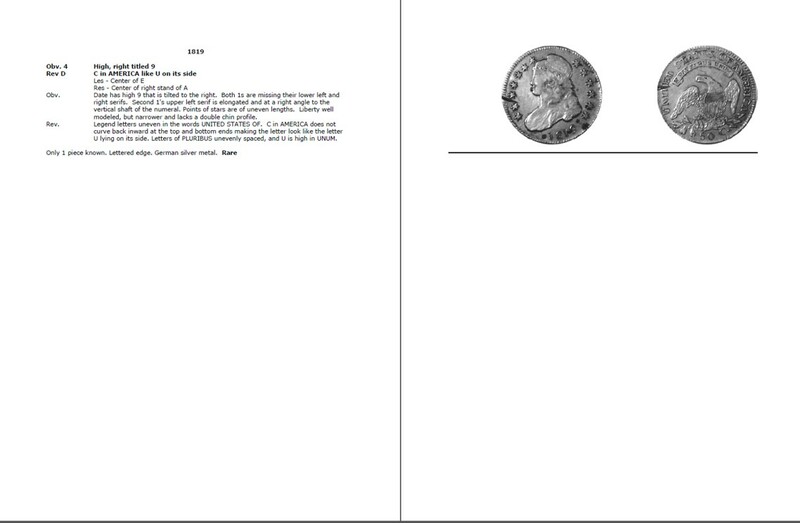 The 339 die varieties with descriptions and images appendix published as part of the June 2010 Contemporary Capped Bust Half Dollars 2nd Edition are listed below in this section. 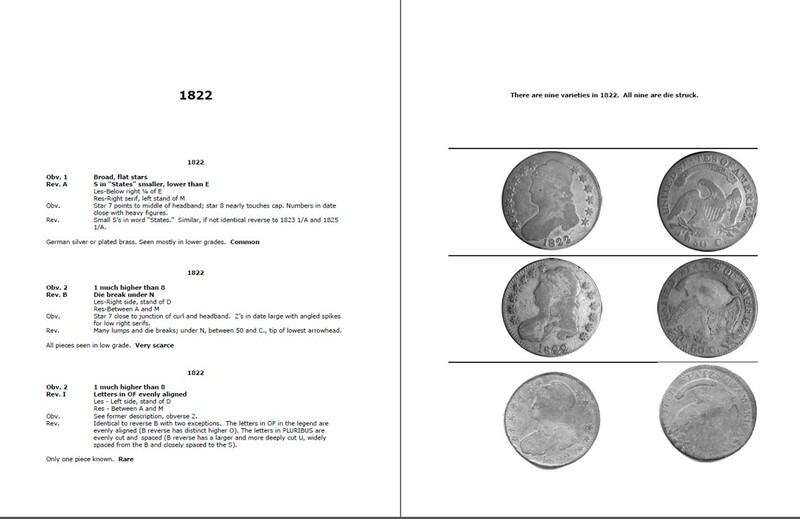 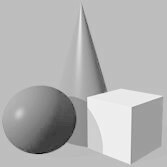 It is important to note that there are three other sections in this website that further update and expand this Variety Attribution Guide. Please also refer to the 2nd Edition Errors/Changes, New Discoveries and ccCBH Census sections for these updates and expansions (i.e. 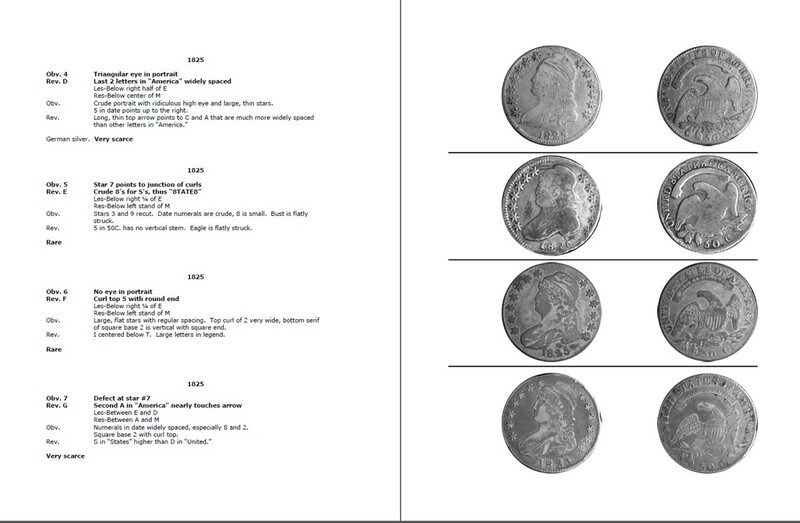 In some cases the successful finds from multiple collectors were for the same variety and when combined equaled enough additional known specimens to have the variety's rarity designation updated).